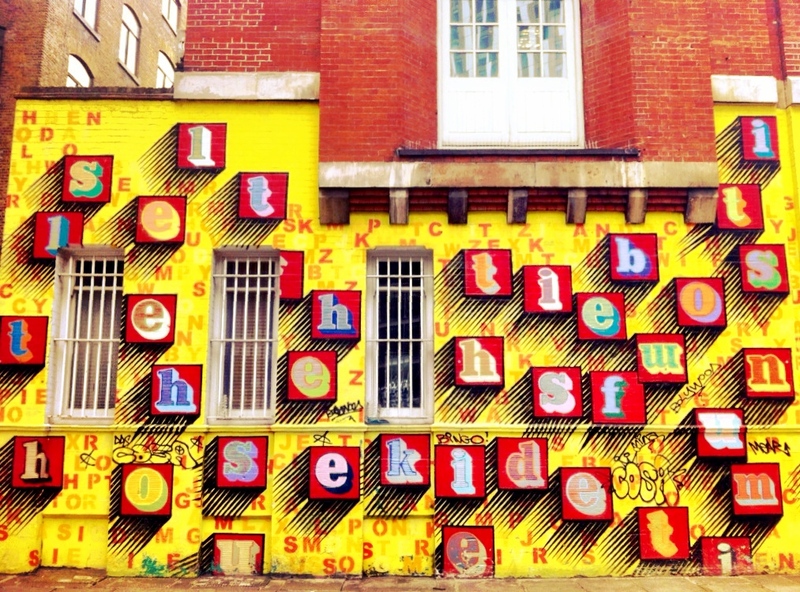 They say word-of-mouth is one of the best ways to get noticed – and who am I to contest. 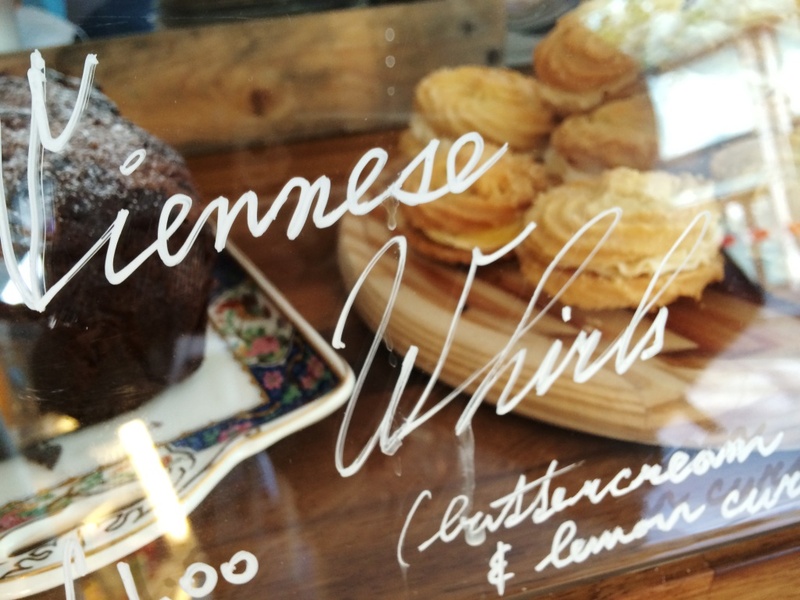 This lovely new little bakery/coffee shop was recommended by a friend, and now here I am doing the same for you! 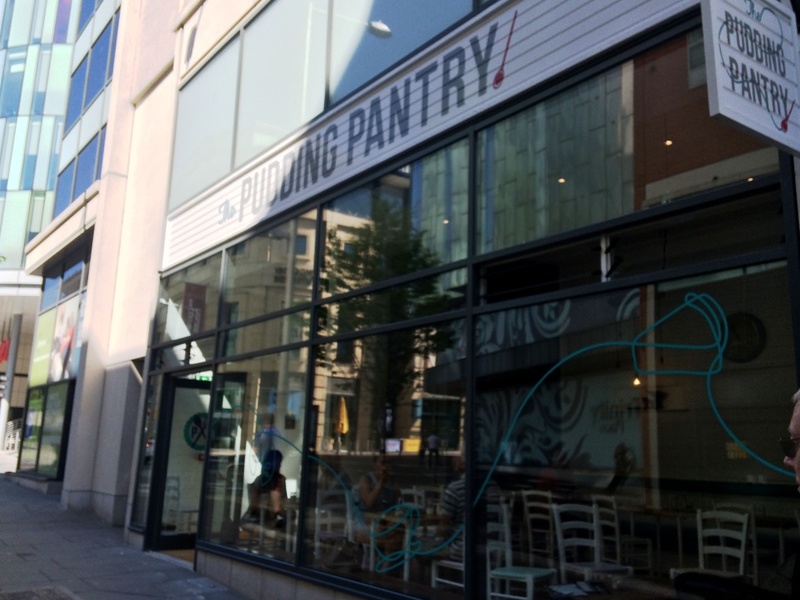 Situated in Trinity Square, just a minutes’ walk each from the Victoria Centre and Cornerhouse, The Pudding Pantry opened up about 2 months ago, and is an oasis of calm amid all the shops, bustling restaurants and busy streets. 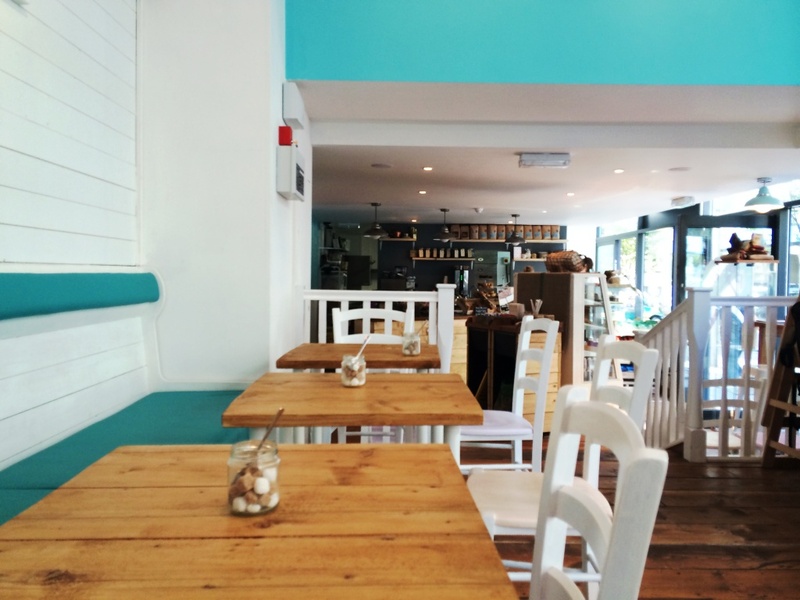 Inside the decor is bright and fresh – it reminds me of being at the seaside, with soft blues and greys, and lots of white painted wood. 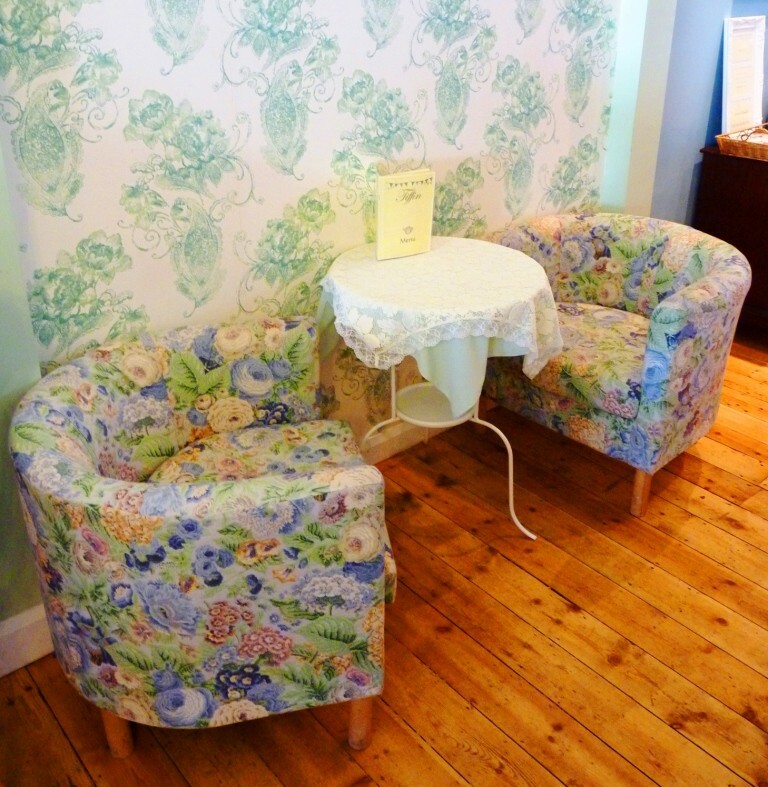 There are also plenty of quirky touches – as any good tea room should have! 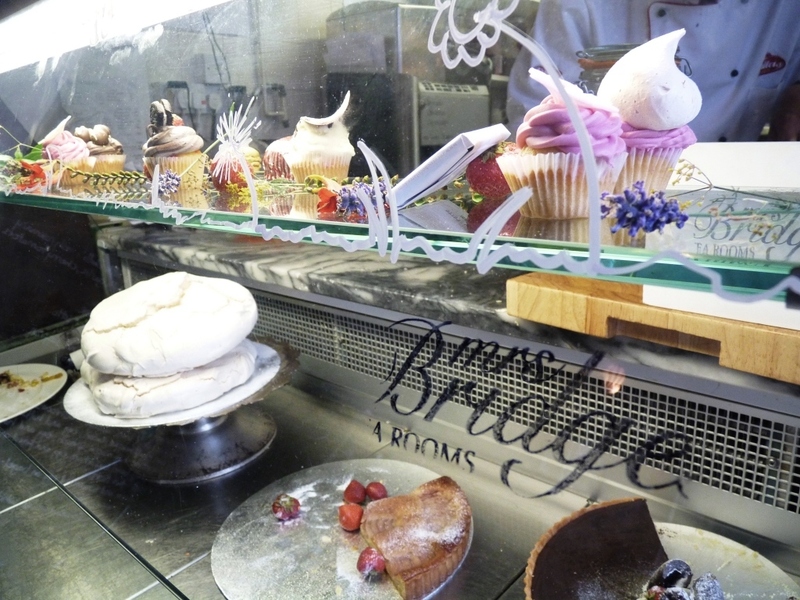 And what an array of sweet treats there were – on display in the windows; in and around the main glass-fronted counter, we were absolutely spoilt for choice! 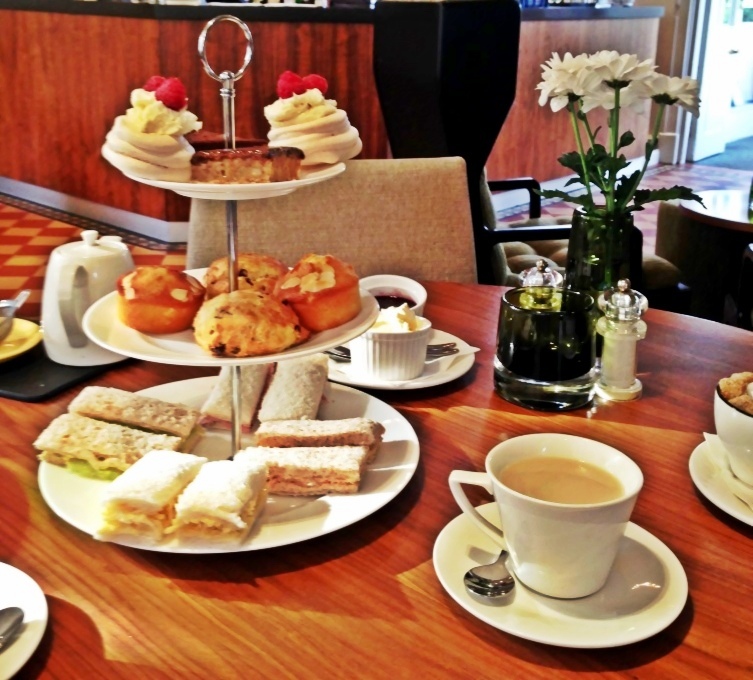 From pastries to muffins to sliced cakes to scones… they really do have the whole lot. 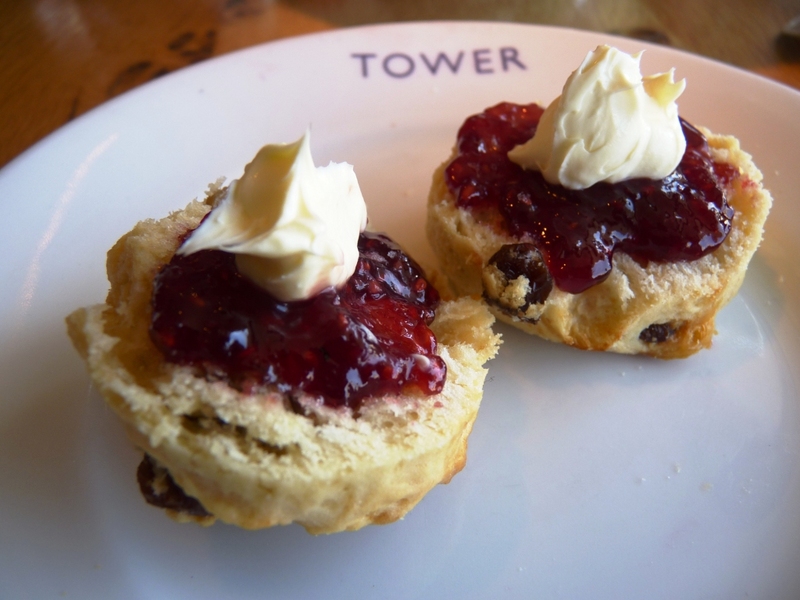 My cake camarade opted for a scone with jam and cream – but was asked did she mind that it would be about 10 minutes as they were freshly baked to order? What a treat! 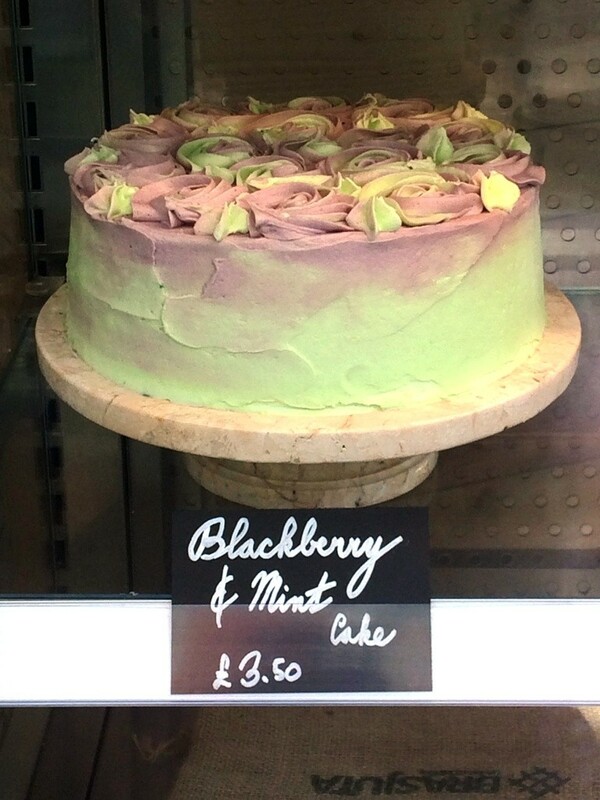 And the warm summer weather tempted me into something fresh and fruity – the amazing looking, sounding, and definitely tasting blackberry and mint cake. It was divine! 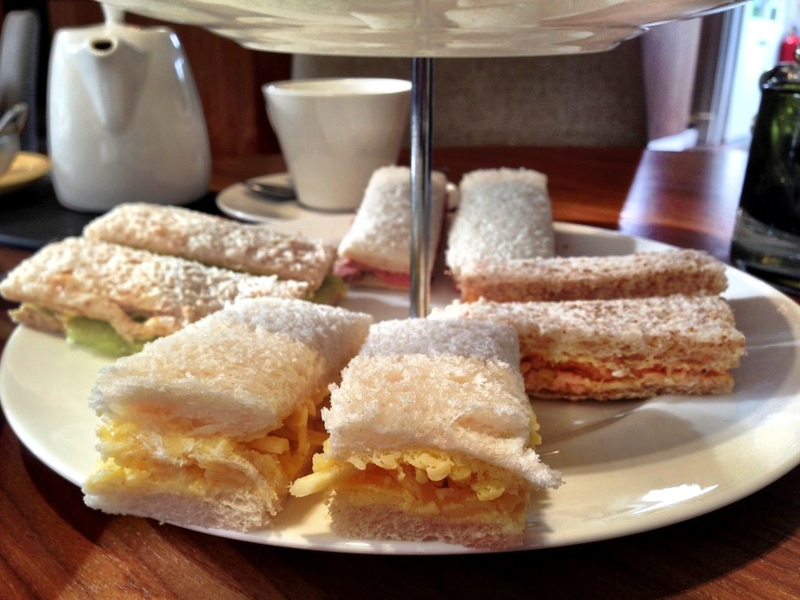 So consider my word well and truly spread – definitely a tea room to try next time you are in the area! 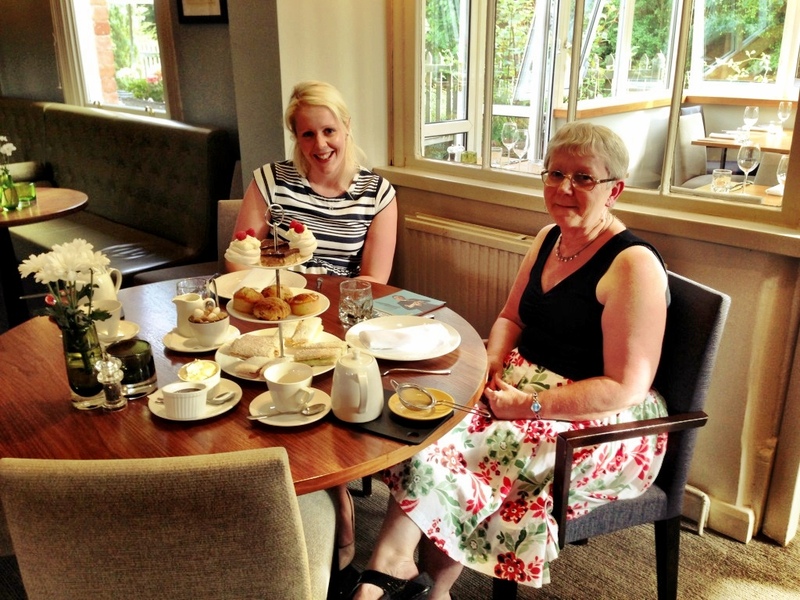 Last week, I finally got round to going with a much-promised retirement afternoon tea with my mum (her, not me, sadly! 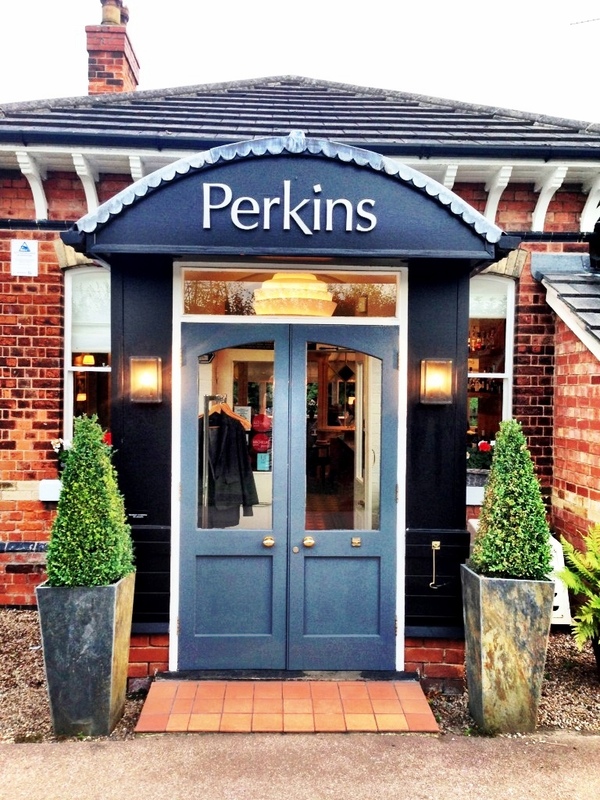 ), and decided that one of my favourite restaurants, Perkins in Plumtree, was a perfect fit to start our celebration of her new-found free time. 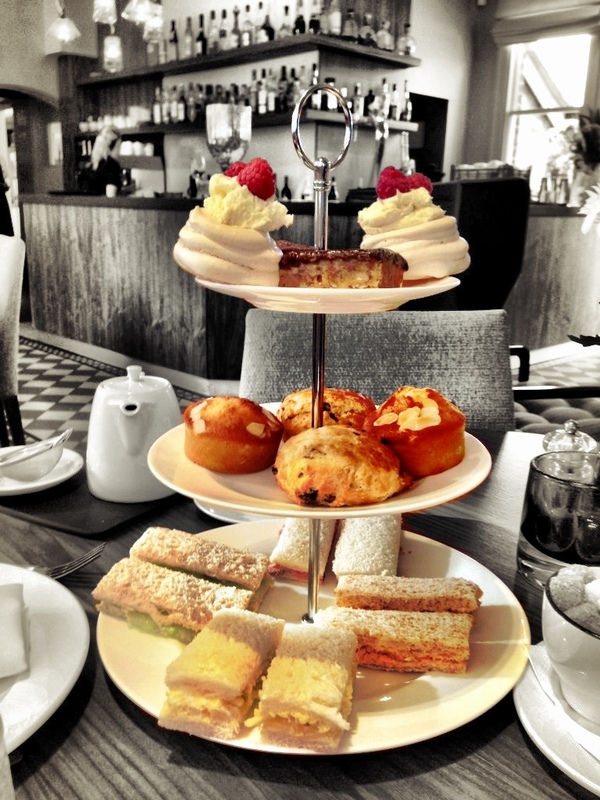 We’ve vowed to go for afternoon tea many more times so watch this space! 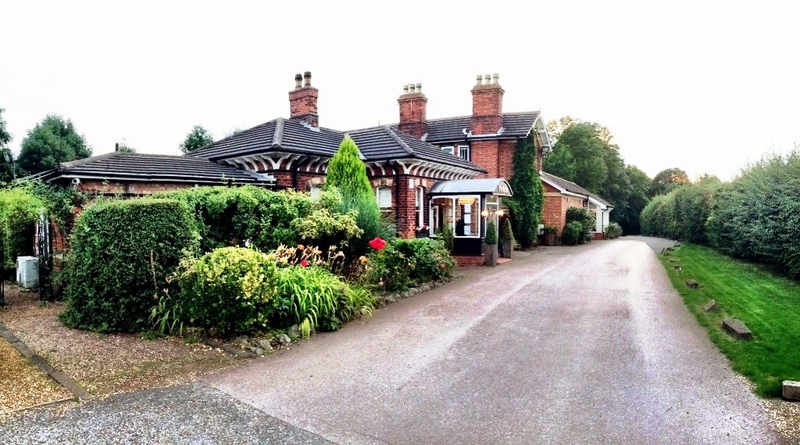 Perkins Restaurant is set just outside the village of Plumtree in Nottinghamshire, and is housed in an old railway station. The railway line is no longer in use and it’s a lovely peaceful setting where you can while away many hours before you know it. 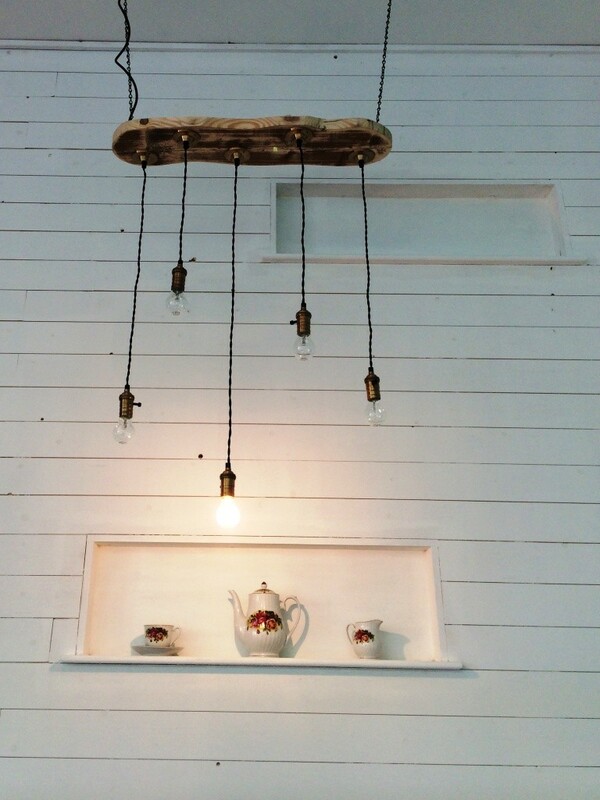 Inside the décor is quite simple and classic but with a few well done twists. Vintage prints and posters adorn the walls, a light and bright colour scheme runs through out, and a large conservatory on the back gives the whole space a spacious and airy feel. 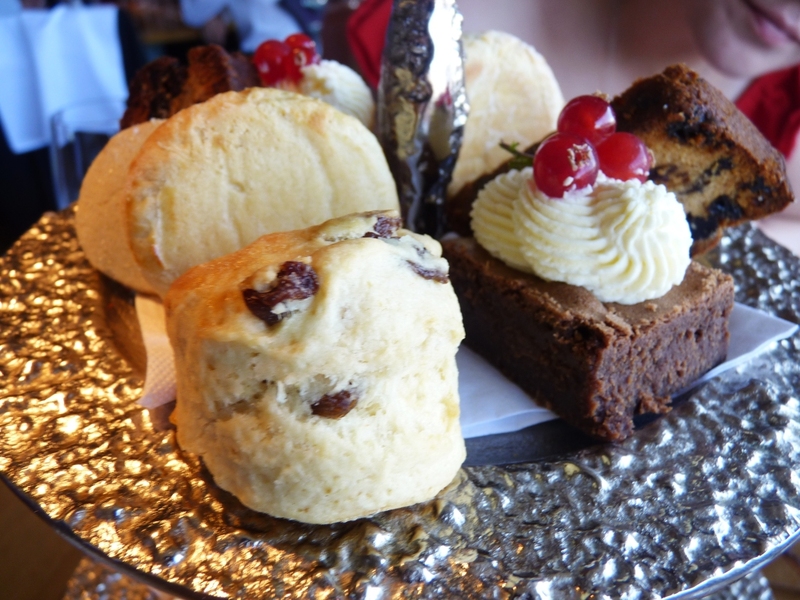 We were of course dead set on having afternoon tea, and I’d called ahead to see if they’d be able to do it early evening for us, so I could head over straight after work (3 week trips to New Zealand haven’t left me with much annual leave this year… 🙂 ), they were more than happy to oblige, and certainly did not disappoint! 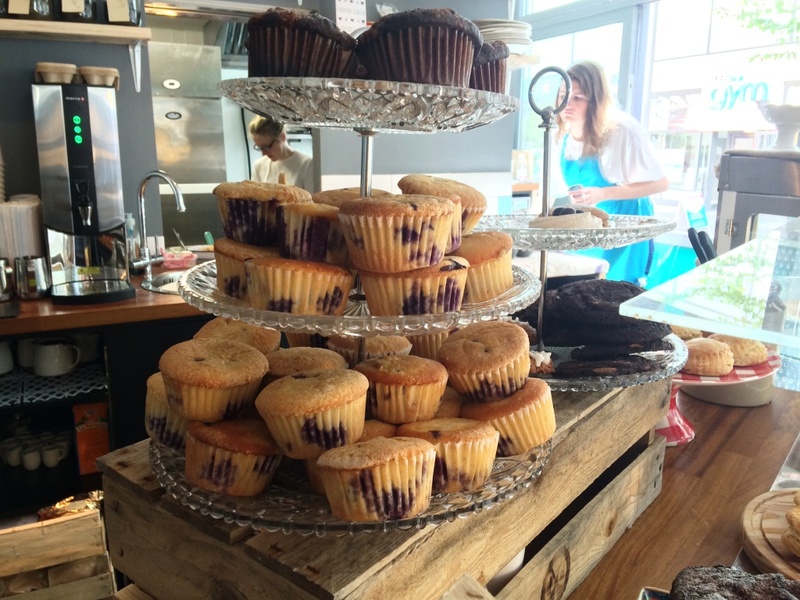 …and scones and almond cakes inbetween! 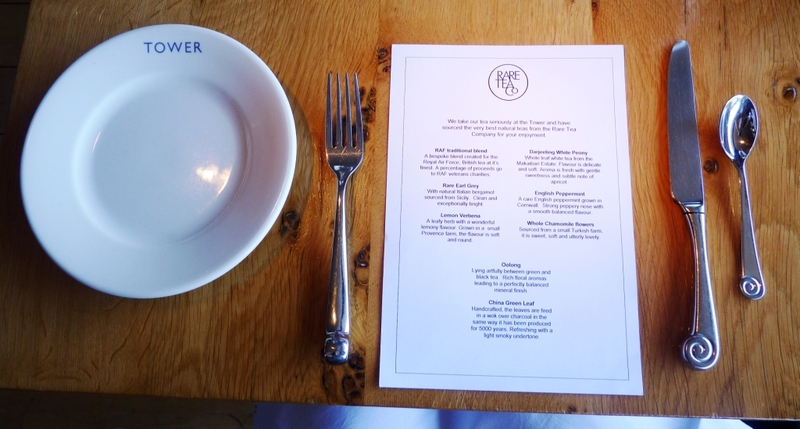 We chatted and munched for actual hours, all the pieces were full of flavour and beautifully baked. Just when we couldn’t manage another bite, only the chocolate tart was left, and it looked quite heavy. Would we make it? 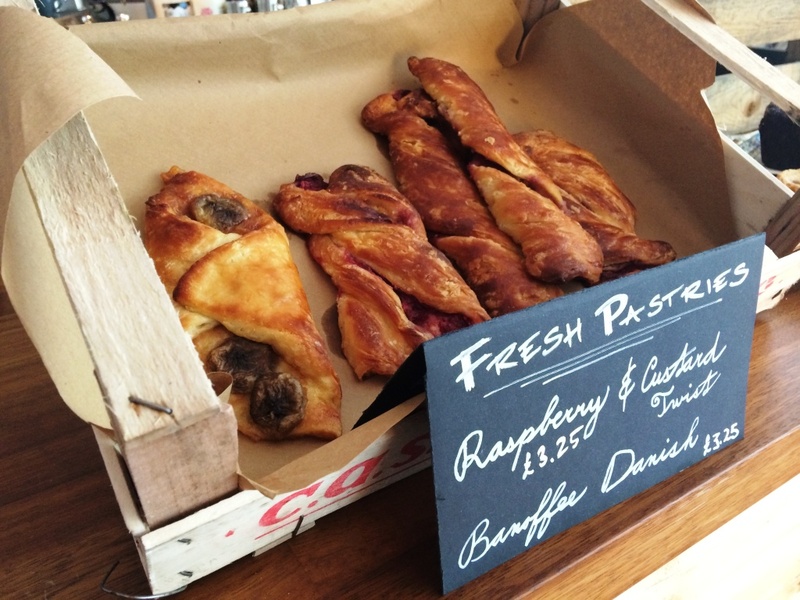 One bite and it was an instant hit! 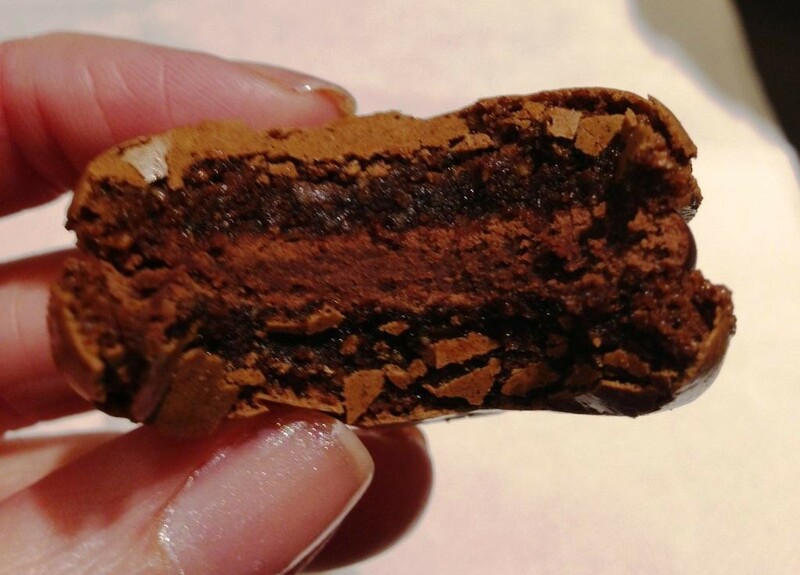 This was no ordinary chocolate tart. This was SALTED CARAMEL CHOCOLATE TART. I’m sure I say this a lot but it was honestly one of the best things I’ve ever tasted. 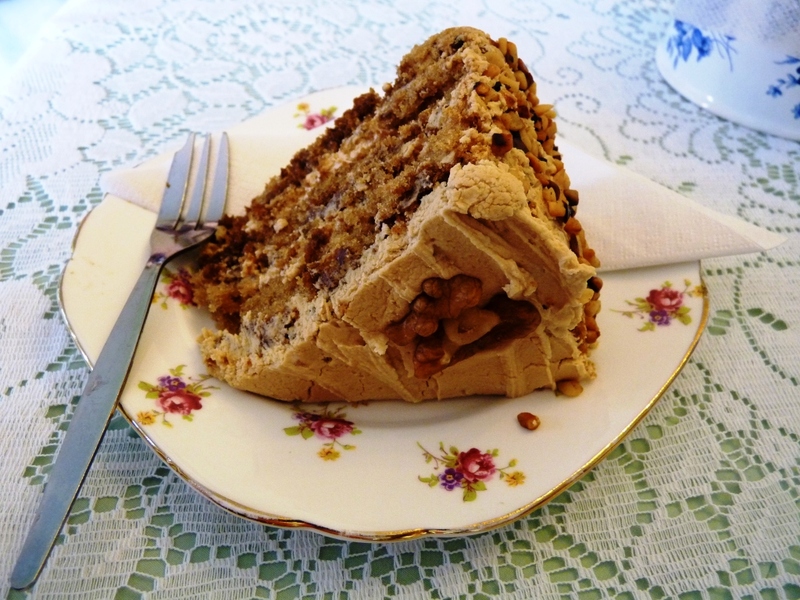 Words can really not describe, the crunchy nut base, smooth but salty caramel, and creamy, sticky chocolate topping, mmm…. Even now, writing this a week and half later, my mouth is literally watering at the thought. A recipe I will definitely have to hunt down! 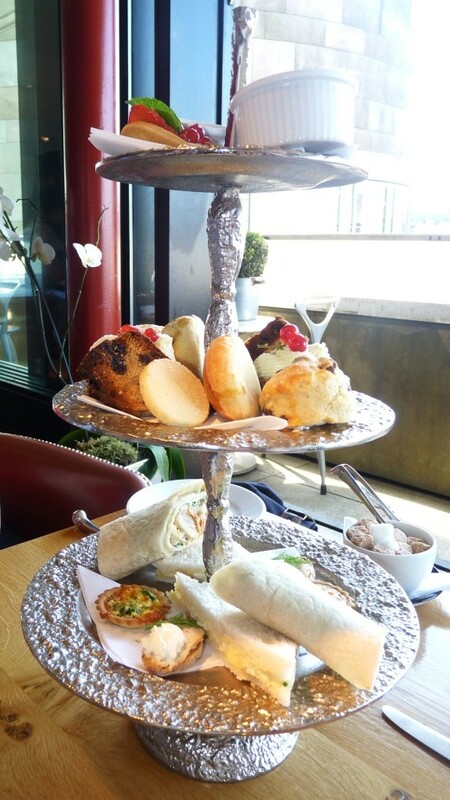 There’s no date in the diary yet, but stay tuned for our next afternoon tea adventure, coming soon I’m sure! 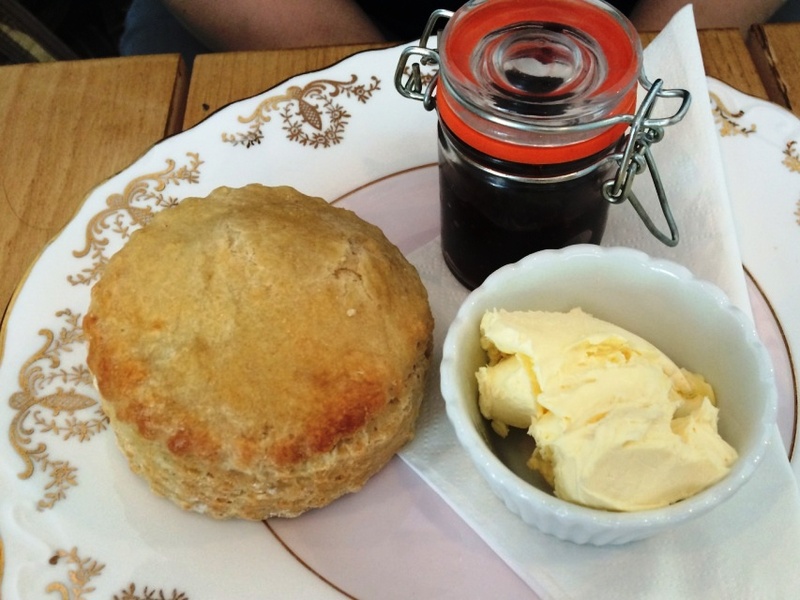 Mrs. Bridges Tea Rooms, Leicester – Review & Blogger Meet Up! 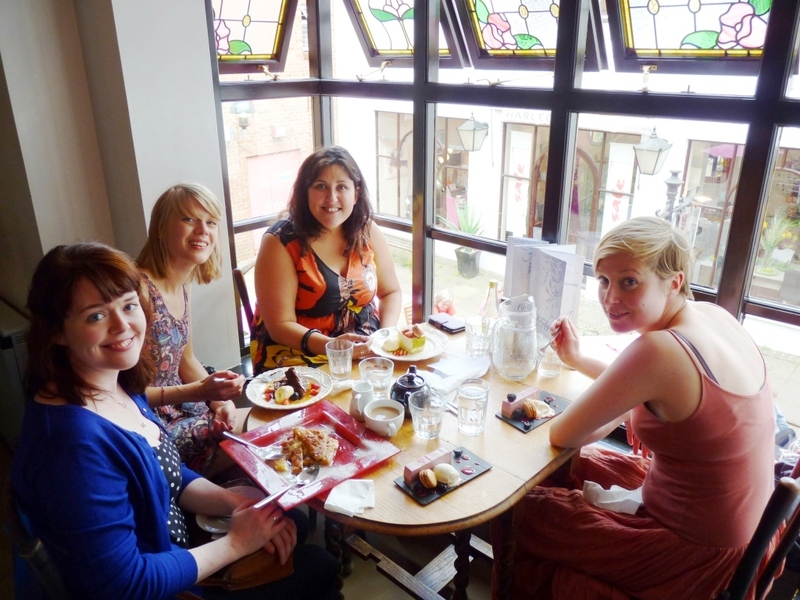 A sunny Saturday afternoon in Leicester, I met up with some fellow Midlands bloggers, all with a great love for cake! 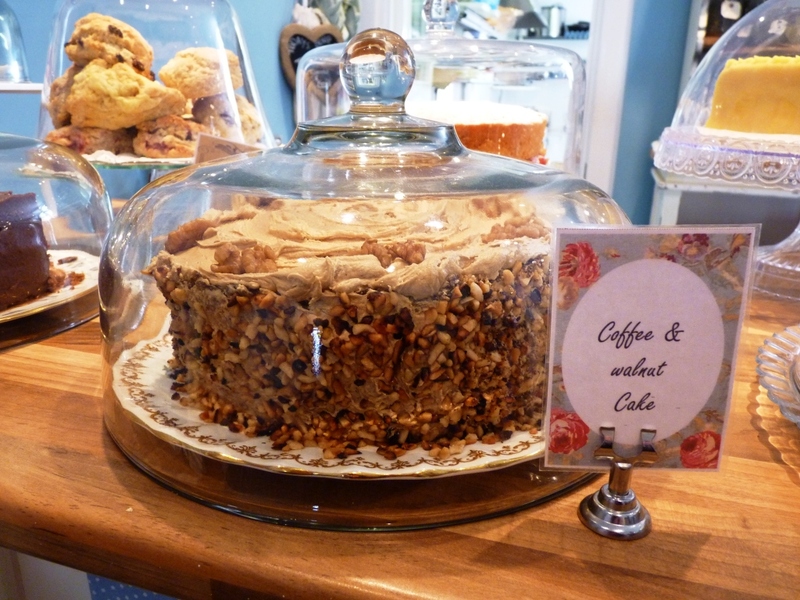 A repeat of last years lovely trip to White Rabbit in Nottingham, this year with an extra guest in the form of Liana from Swirls Bakery, who blogs over at My Sugar Coated Life. 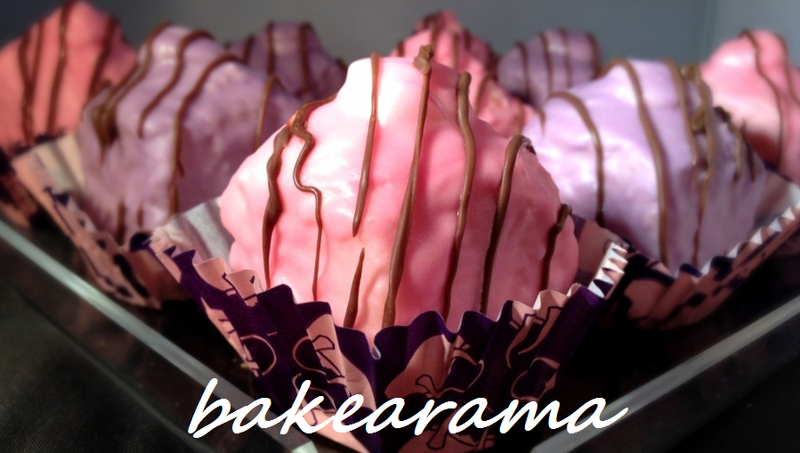 And not forgetting E & B from Make, Do and Spend, and Kerry from Kerry Cooks. 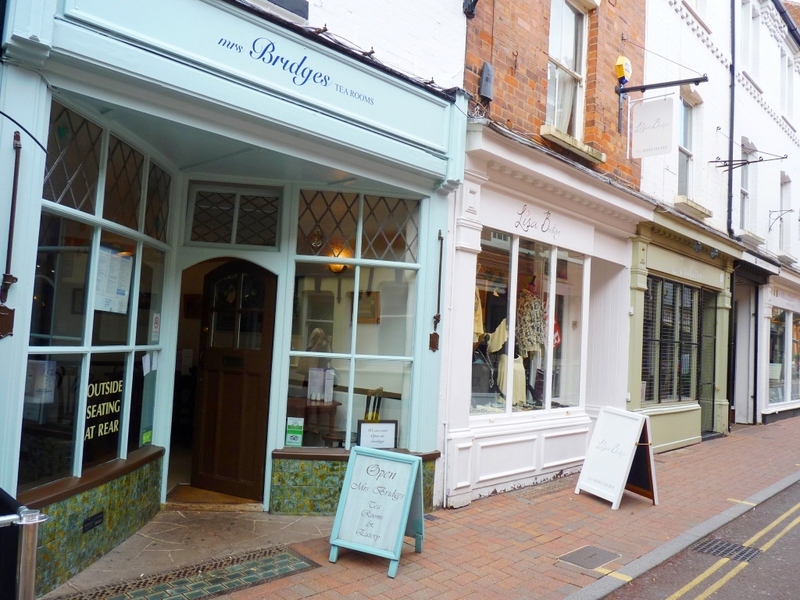 As many female outings start, we caught up over a wander around The Lanes, a collection of little streets and squares, all with a great mix of vintage shops and individual retailers. We even found a bakeware sale! 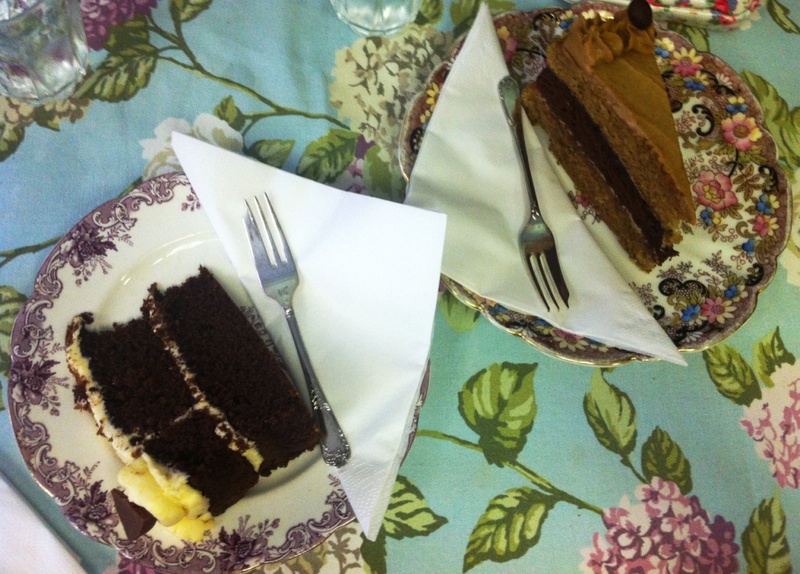 And of course our afternoon wouldn’t be complete without cake! 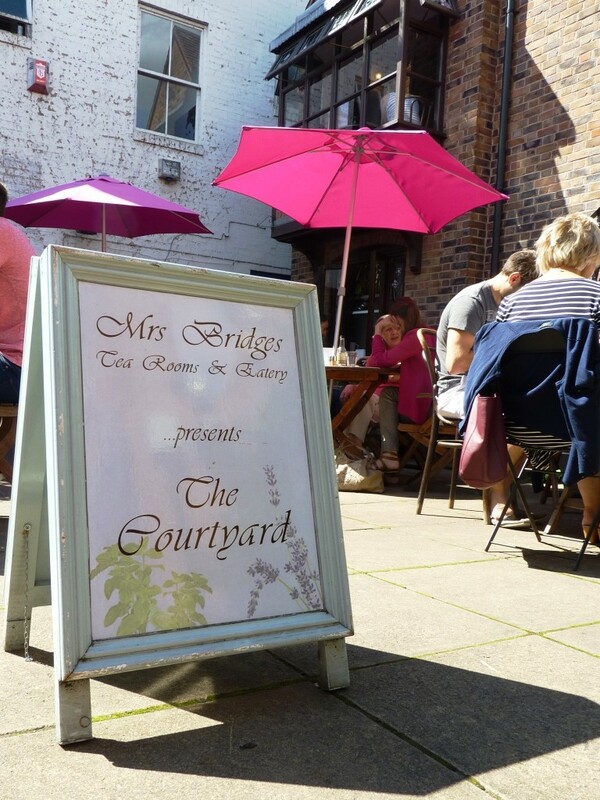 Kerry had booked us into Mrs. Bridges Tea Rooms, a fantastic find just off the lanes; a tea room has been in the same location since 1890! 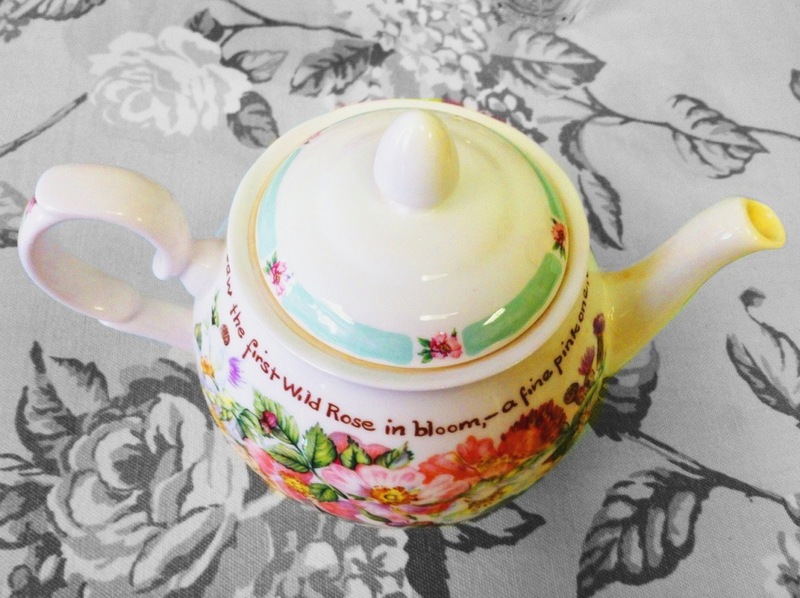 Wouldn’t you love to see what it was like full of Victorian ladies? 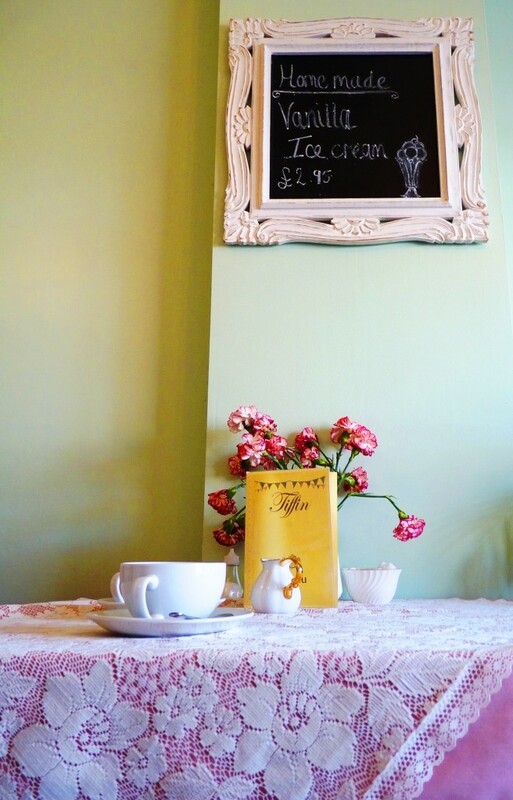 Inside the decor is simple, with a deli sandwich & cake counter downstairs, and lots of little tables upstairs. We’d booked in advance, but even on a Saturday afternoon could have found a corner if we’d just turned up. 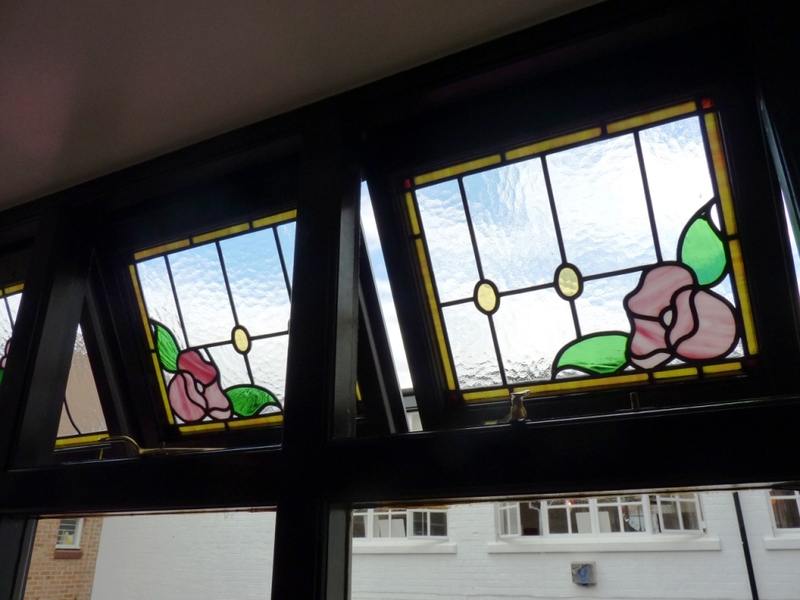 We bagged a spot right by these beautiful stained glass windows, perfect for people-watching of those outside! 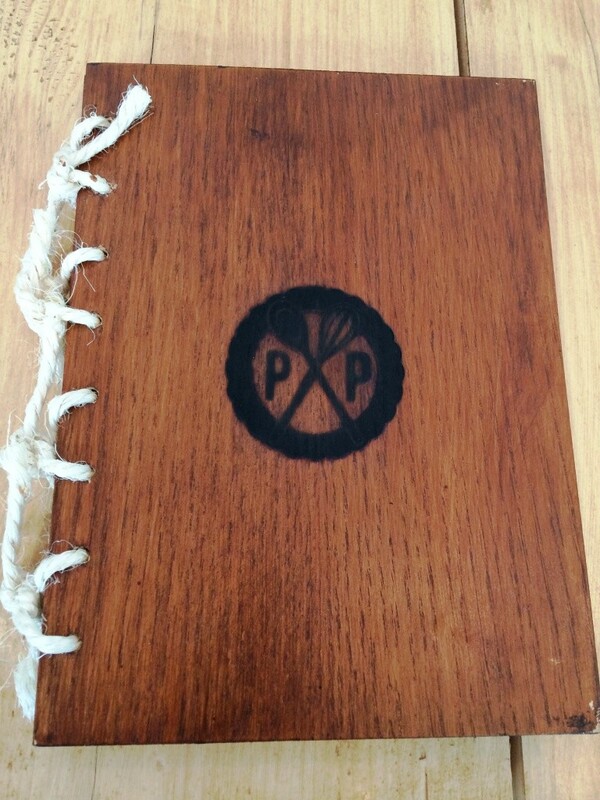 And the menu? Well I wish I taken a picture! It was so extensive, the 5 of us took rather a long time to decide! 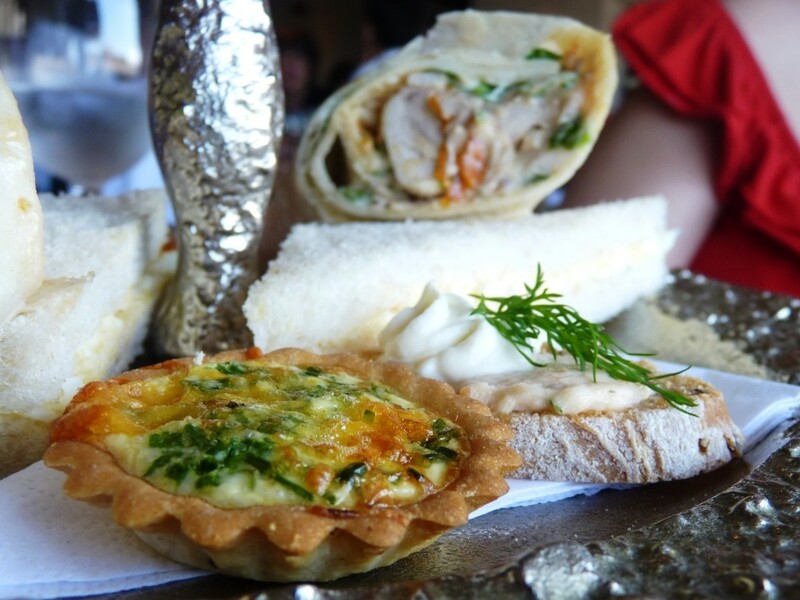 From a wealth of savoury items – scrambled eggs, bagels, jacket potatoes, sandwiches, salads… to the most amazing selection of sweets, it was a tough choice. And onto the desserts! 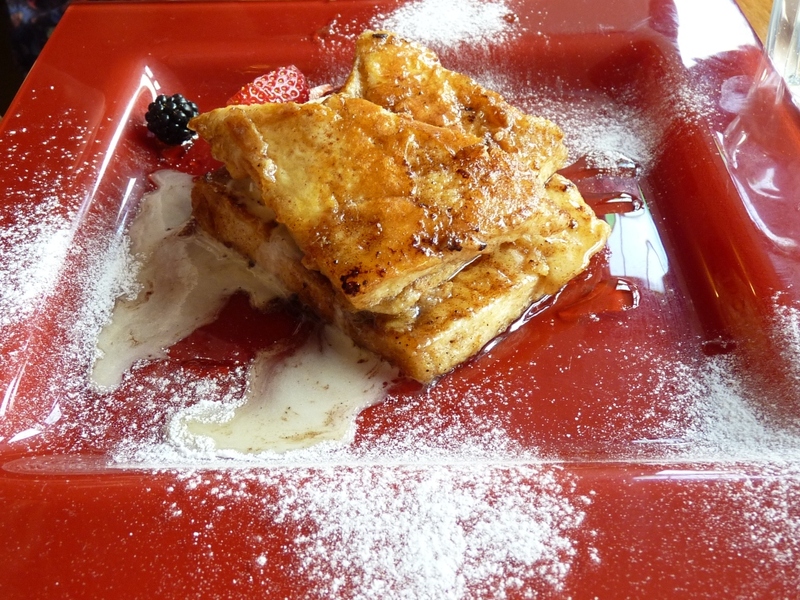 Kerry went for some sweet cinnamon French toast, on basis that most of us had never had it before. She was absolutely delighted when it came out! 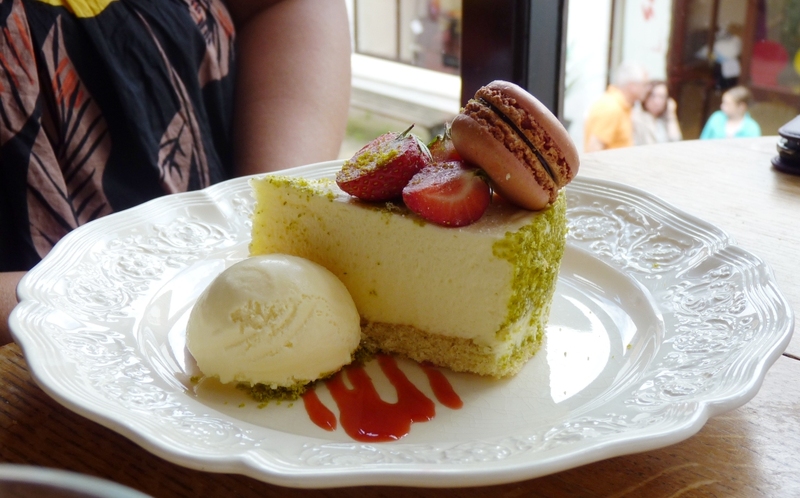 Liana chose this absolutely stunning white chocolate and pistachio delice, with strawberry topping. From the soft sponge base to the creamy, chocolatey mousse, this delice was delicious! Definitely a recipe I’m going to hunt down and try. 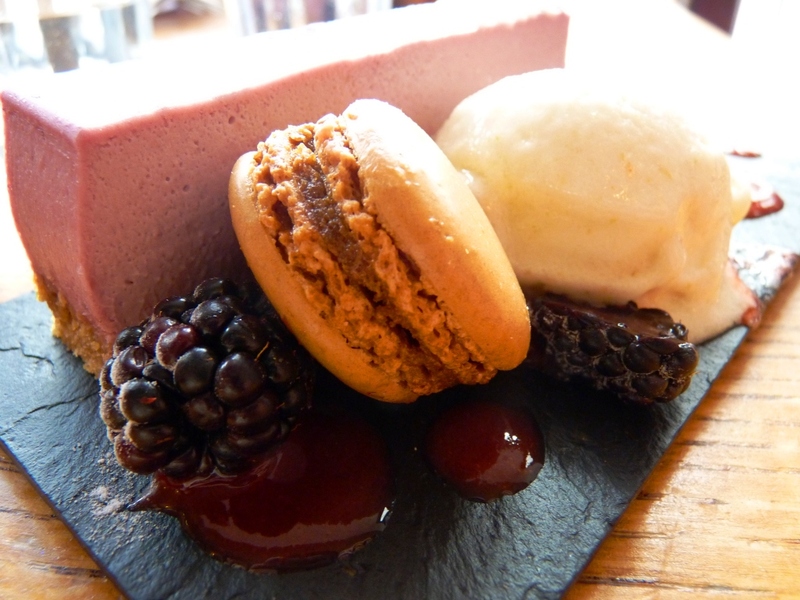 E and I went for blackcurrant cheesecake, with apple macaron and sorbet. An equally enthusiastic wow! 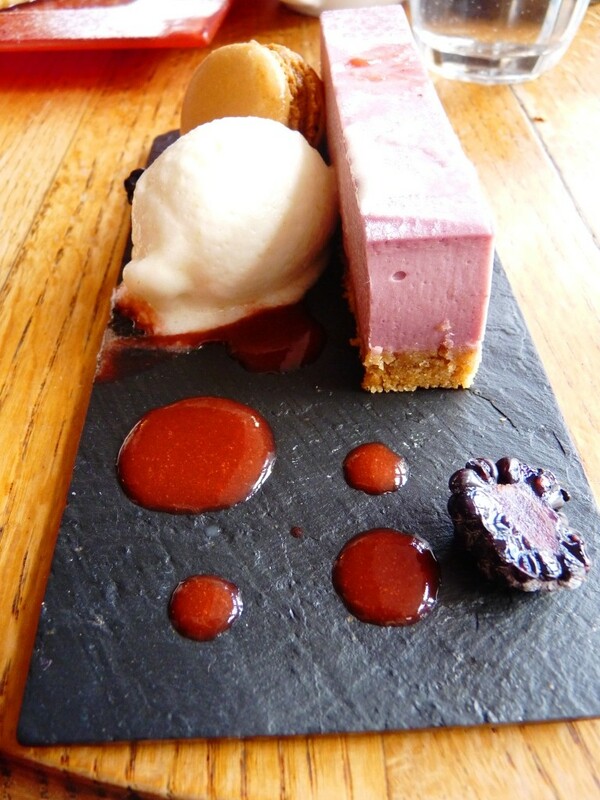 The cheesecake was creamy and fruity, the sorbet so refreshing, and that apple macaron…. 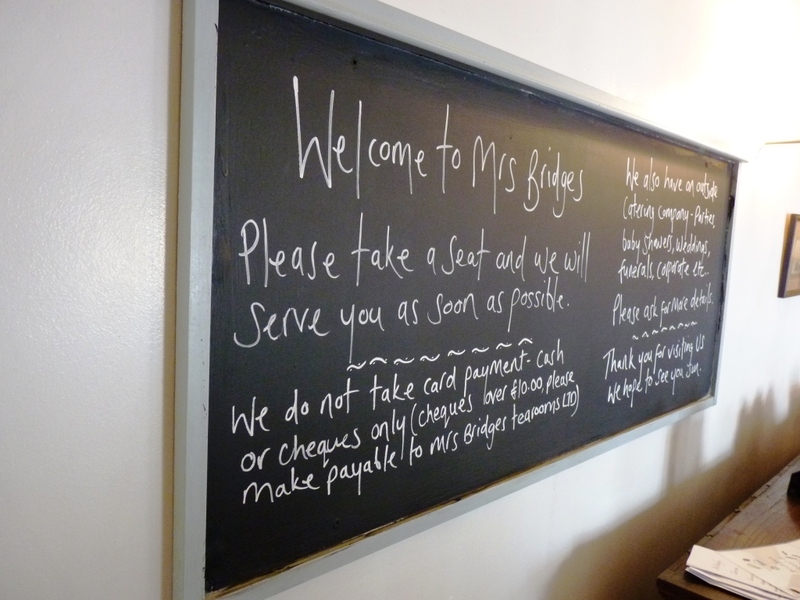 Safe to say us bloggers had an absolutely brilliant time at Mrs. Bridges. 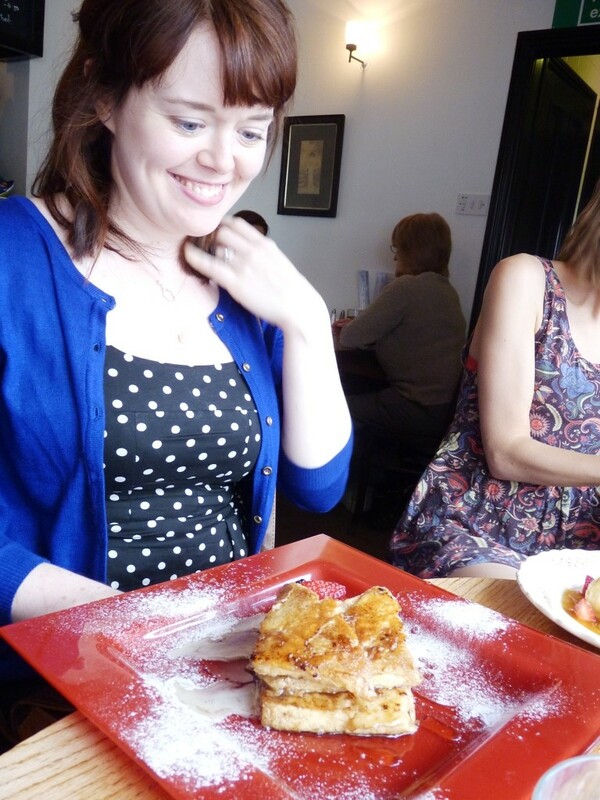 We left with big smiles and full tummies, and a return visit is definitely on the cards if I’m in Leicester again. 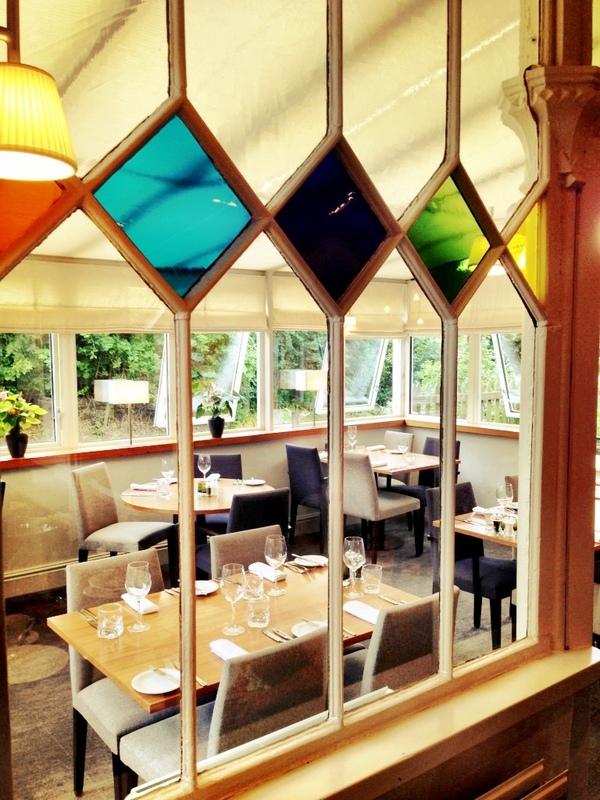 It’s a very well run tea-room, friendly staff, a great menu, brilliant location, good prices, and all-round yummy food. A big thumbs up! Last weekend a girl friend and I went for a short break in the beautiful city of Edinburgh. We completely lucked out with the weather – gorgeous clear blue skies and bright sunshine the whole time, perfect for a bit of laziness education on some of the Edinburgh Bus Tours. 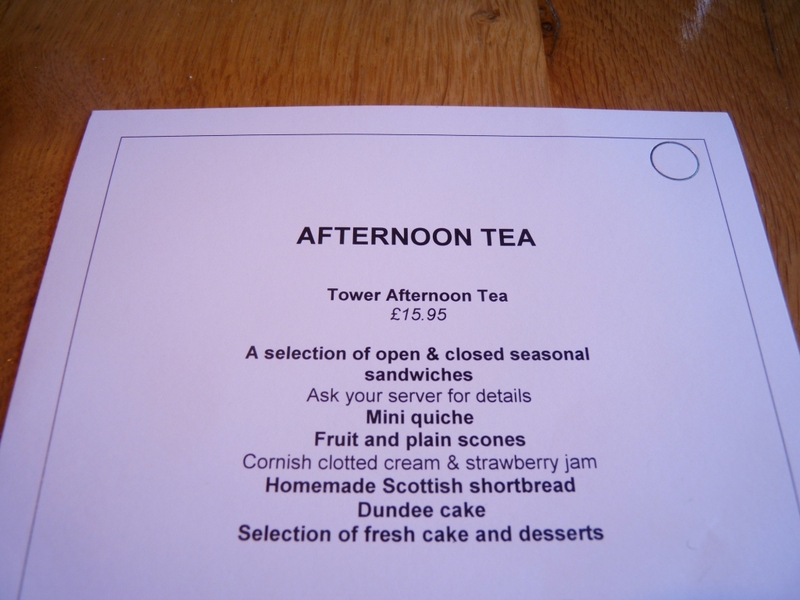 We’d decided well in advance that afternoon tea was a must for the weekend, and, recommended by the rather amazing www.afternoontea.co.uk , we booked a table at the Tower Restaurant, atop the National Museum of Scotland. 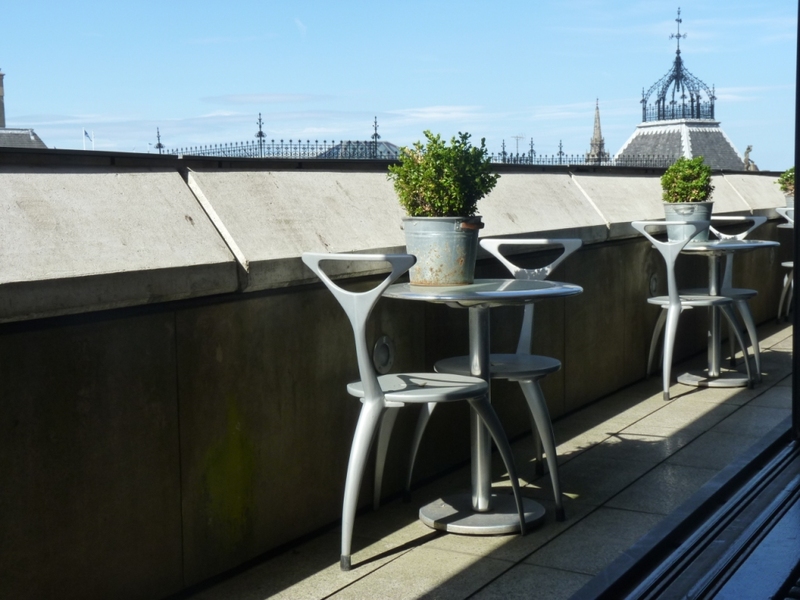 I’m pretty sure our decision was made entirely on it having terrace! The museum itself was well worth a look on the way to tea. 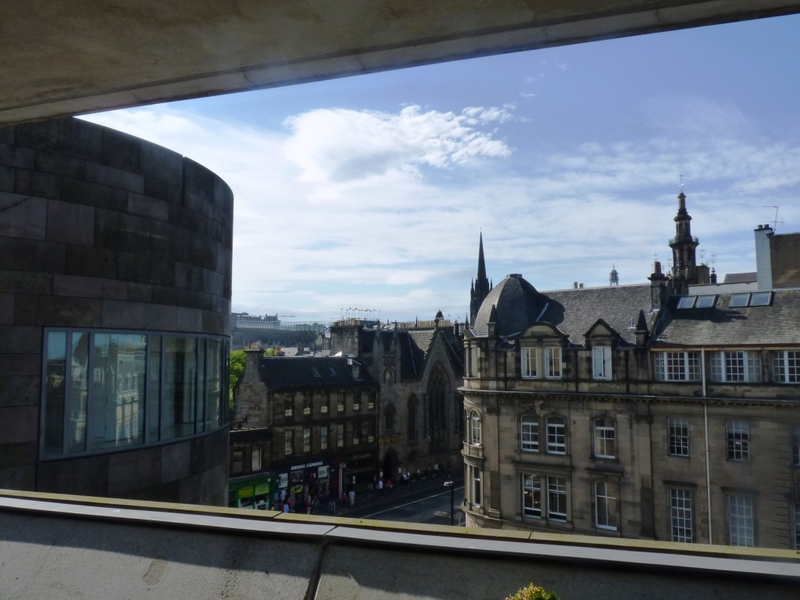 It has 4 floors of completely varied exhibits, from Scottish history, to Formula One cars, animals, and a whole heap of interactive stations where you can play games, press buttons, and generally have a play with some amazing things. 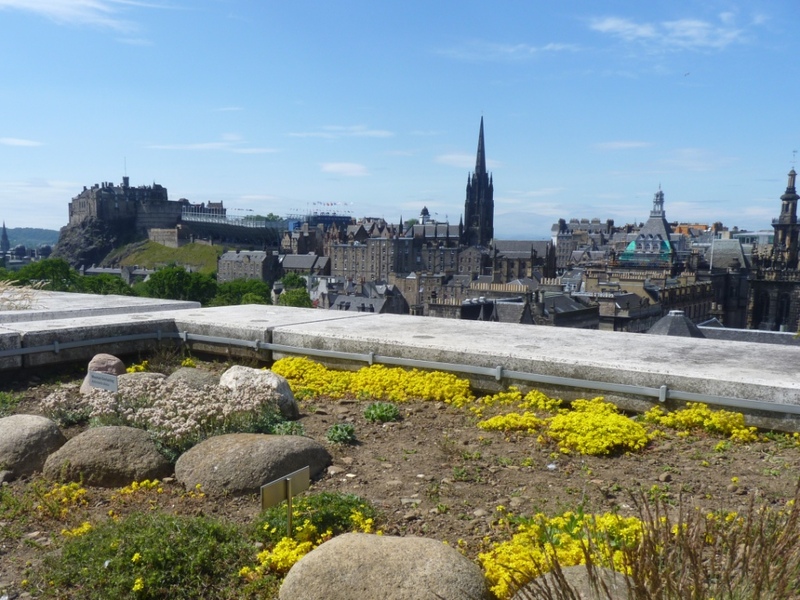 Plus, there is a great rooftop garden, with all manner of different plants, and amazing views across to the castle. We arrived at the Tower Restaurant a little early, weary from a days activities, but they were only too happy to seat us early. 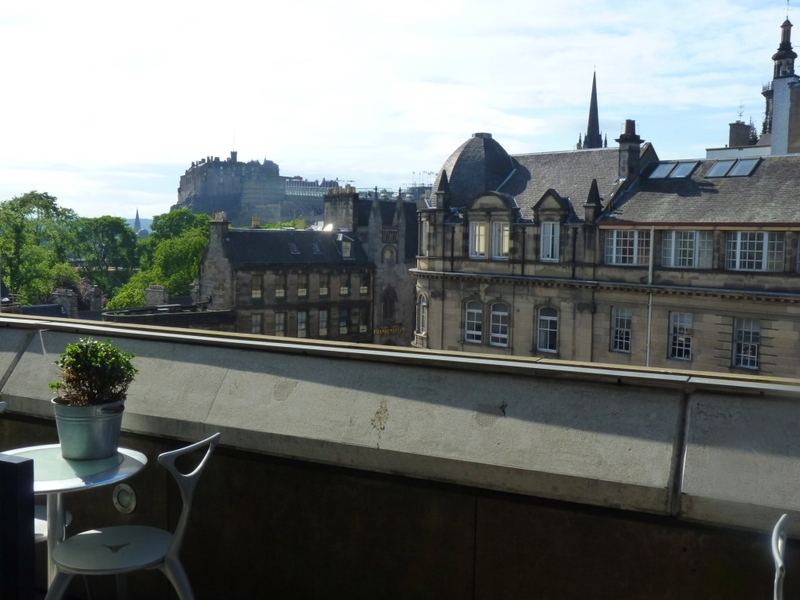 Having spent a lot of the weekend in the sun already, we opted to sit inside, rather than on the terrace, happily next to some wide-open sliding doors, so we could still see out to the old town and reap the benefits of fresh air. What seemed like a long wait later, but was probably very short (I was hungry! 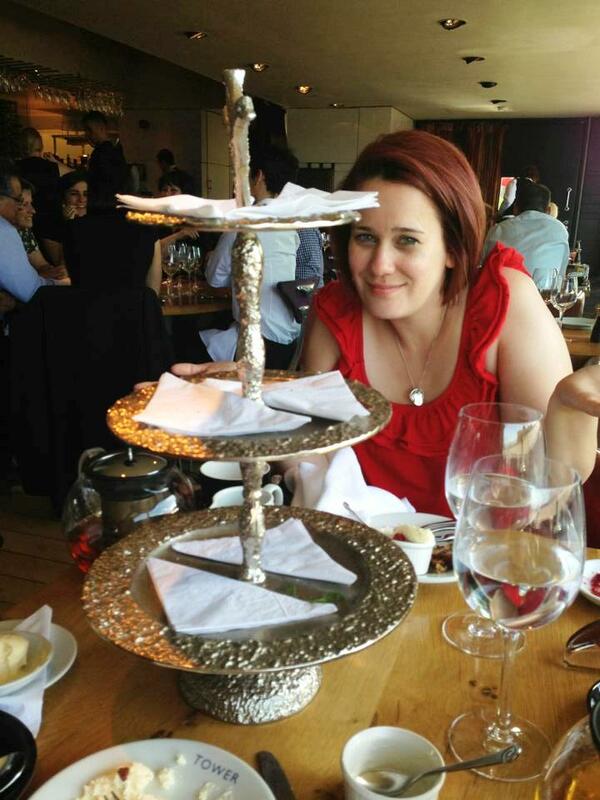 ), we were presented with this fantastic solid silver cake stand. A work of art in itself! And the food! So much! So much choice! As seems the sensible thing to do, we started from the bottom and worked our way up. 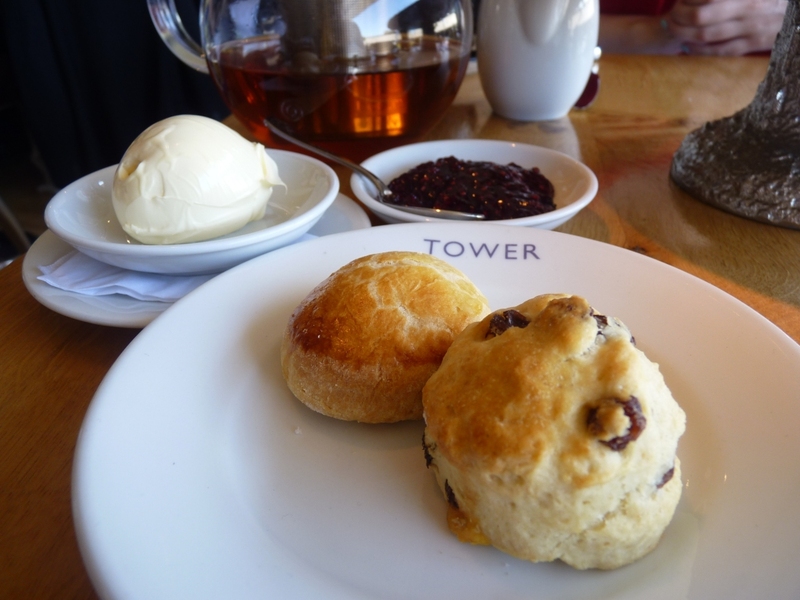 Scones of course served with jam and clotted cream – wow they were good! 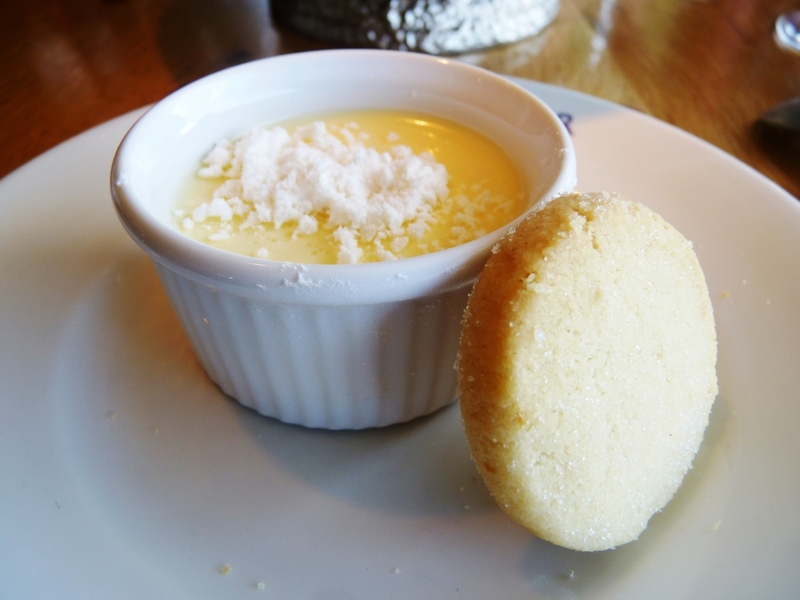 I had my mousse with the shortbread biscuit on the side – a perfect combination! 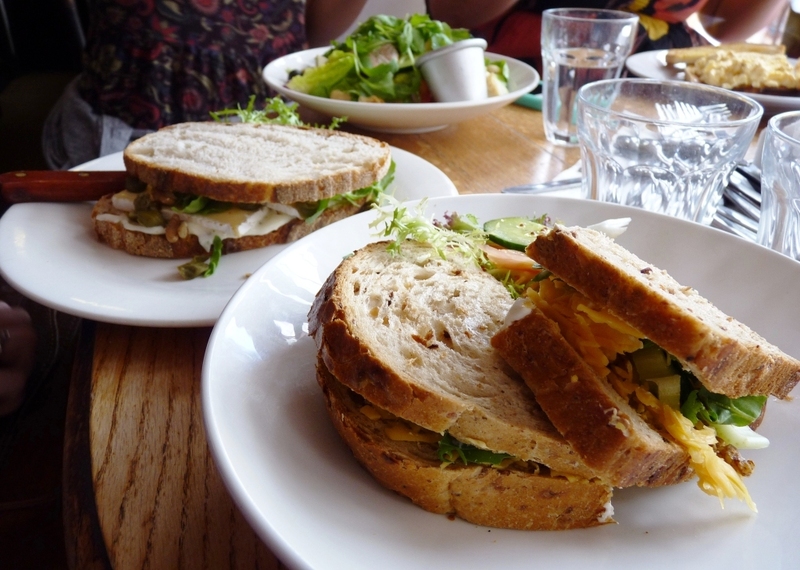 We were completely stuffed – but not a crumb left in sight! 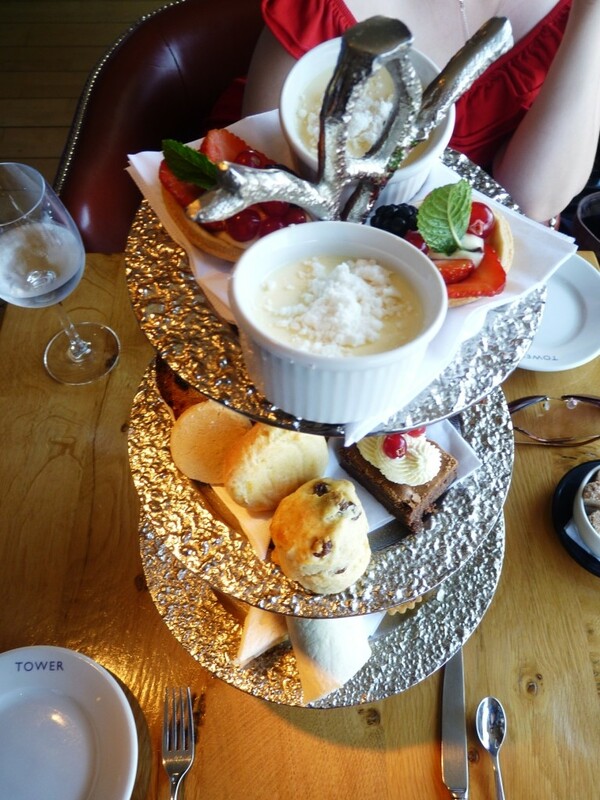 I honestly think it was one of the best afternoon tea’s I’ve ever had. Not only was there a huge amount and selection of food, but every single bite was delicious, even the bits I wasn’t expecting to like. 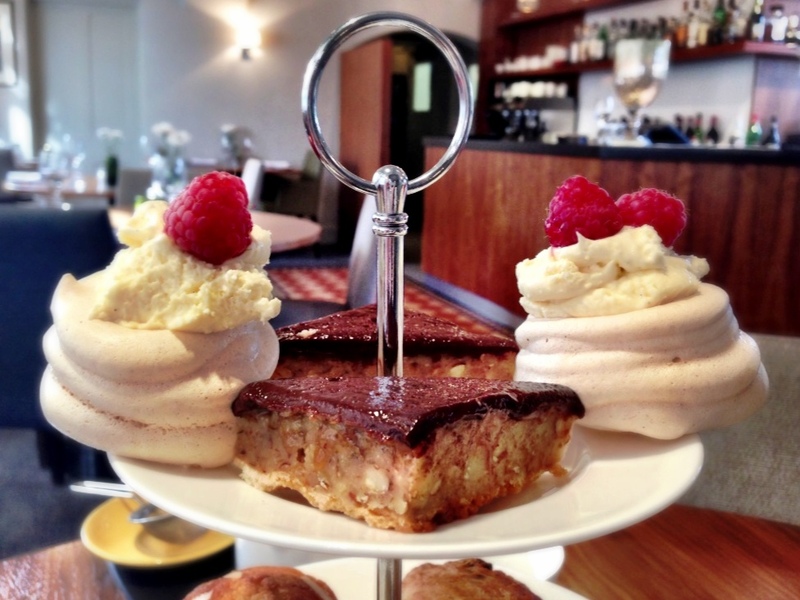 A definite must next time you are in the beautiful city of Edinburgh! Last weekend I was working in a very cold Brussels – the temperature didn’t seem to reach above freezing the whole time we were there. 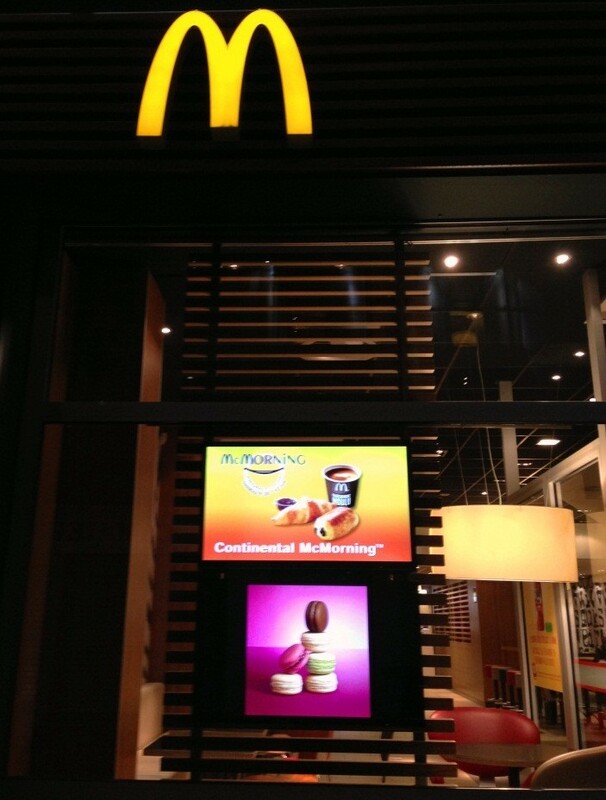 More than a little tired (think, 12 hour days, 3 hour plane delays…), a colleague and I set out for dinner, only to stumble across McDonald’s advertising macarons in their window. 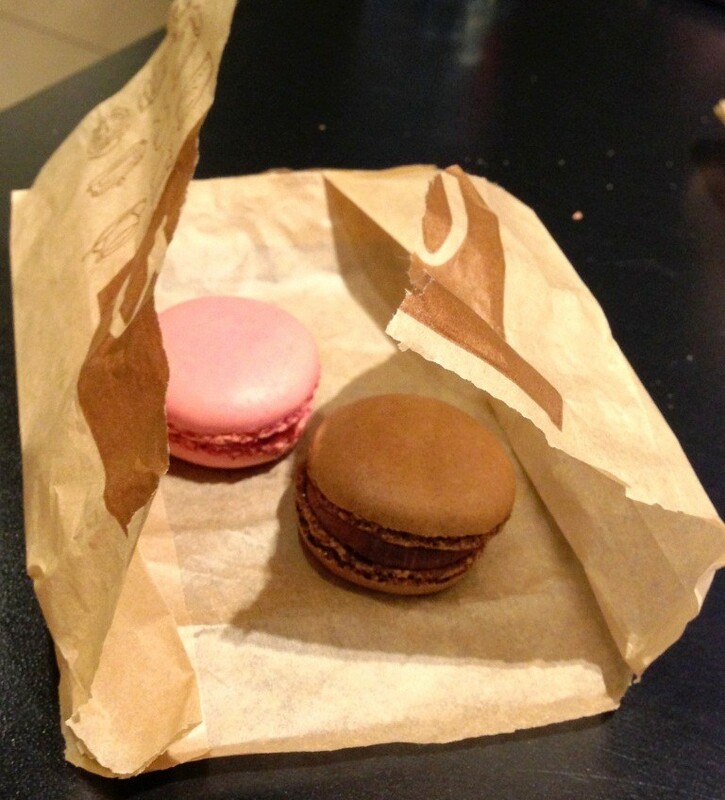 Now, we are both big macaron lovers and were very easily sucked into the idea of a quick and easy dinner – there was no other way to it! Consulting the menu we obviously had to try one of every kind each, but at 3 Euros for 4, fantastic value for macarons. 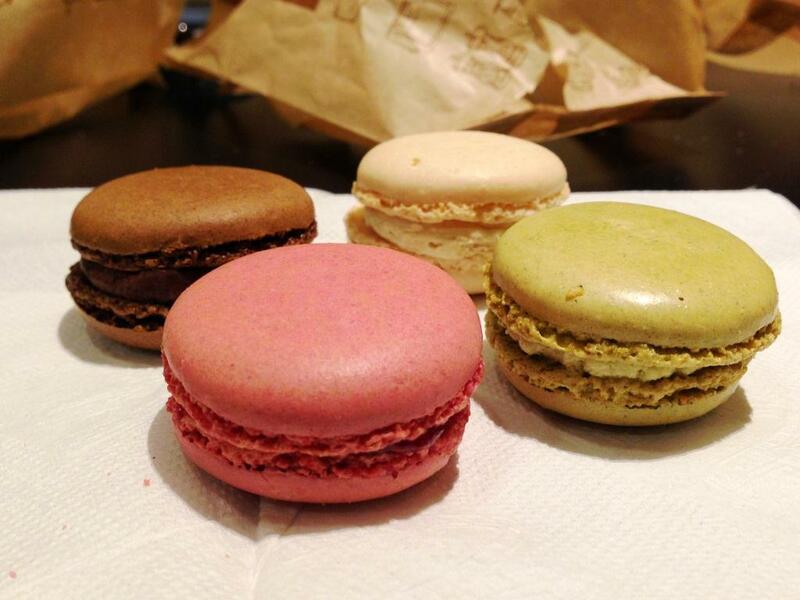 The four flavours were chocolate, vanilla, raspberry, and pistachio. The latter slightly unusual for the mass market maybe? But oh how European! So how did they taste? Well, rather good actually! 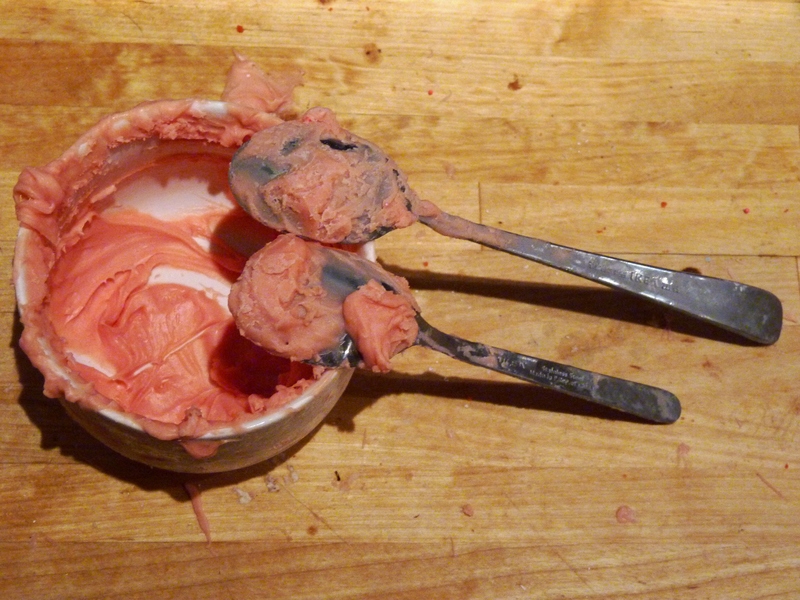 The vanilla had a thick sweet cream in the middle – perhaps a little too much so? 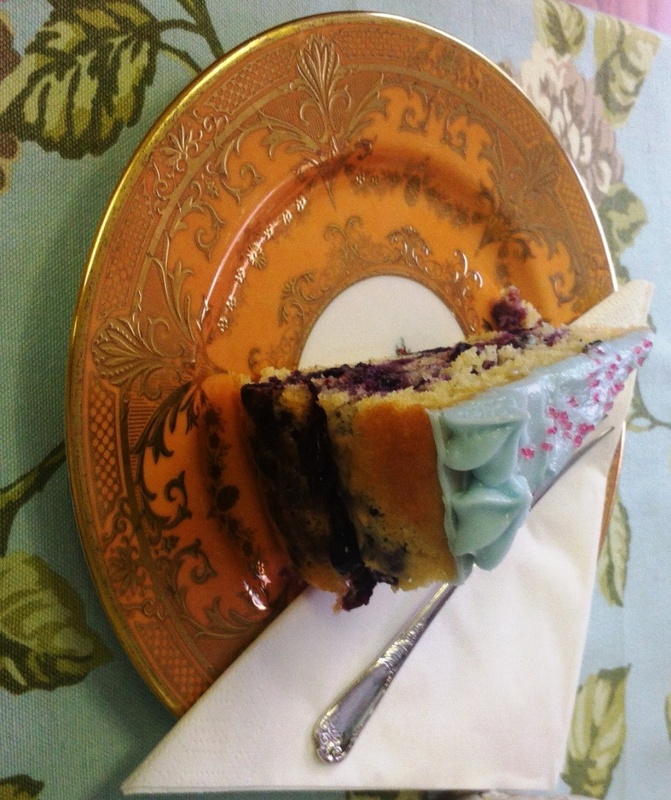 I’d had enough of photo and wanted to concentrate on eating – but the raspberry was filled more with jam than buttercream, and the pistachio was my surprise favourite, a lovely delicate flavour throughout. 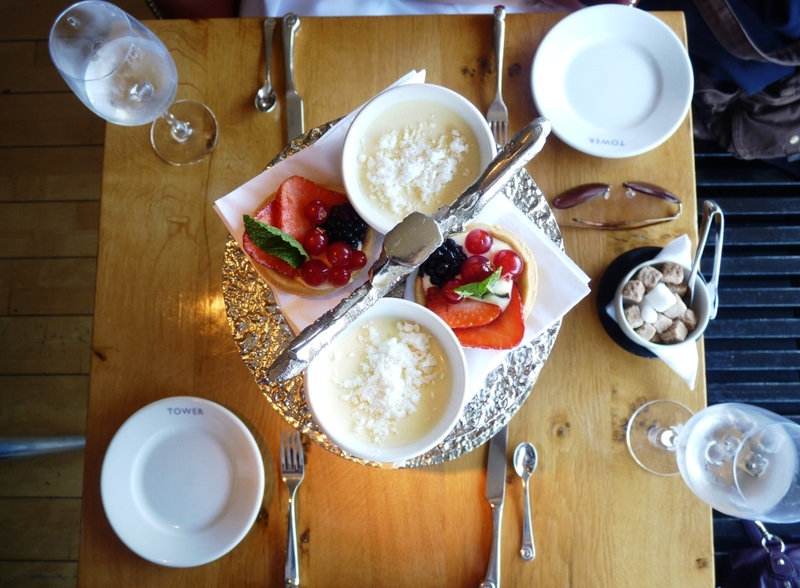 Overall – a tasty trip, and lovely little desserts for the price. 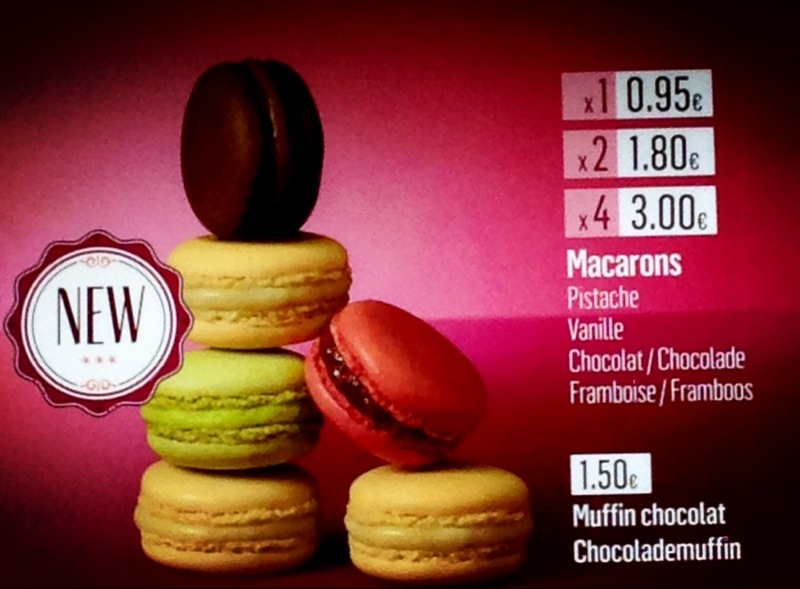 However, and somewhat understandably for a mass and fast food market, not quite what you’d expect from normal macarons. 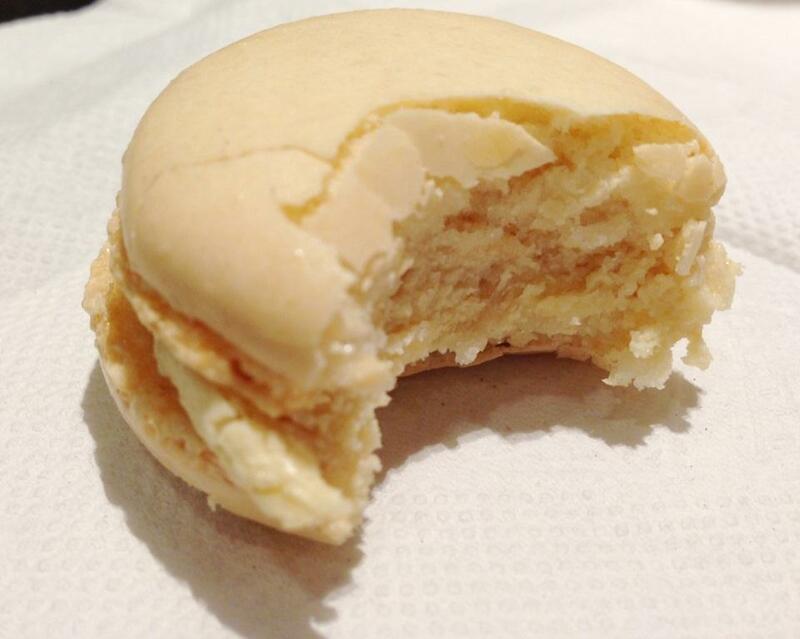 They were quite a bit heavier, denser fillings, and sadly lacking in the crunchy-chewy shell that macarons normally have. Would I have more? Well, if the temperature is still in the minus figures when we return in a month, then I’ll have to substitute my usual McFlurry for something else sweet – and these are certainly not a bad compromise! 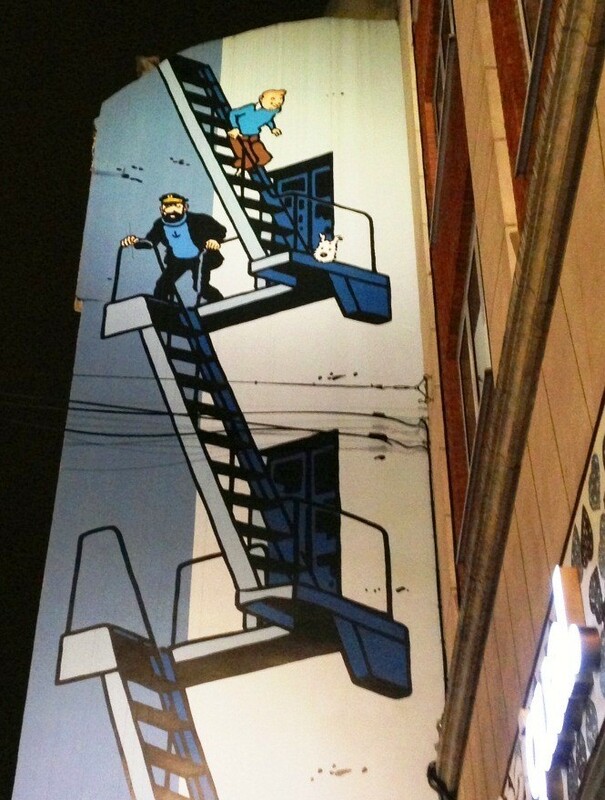 Tintin fire escape mural – genius! Did you know he was Belgian? And of course we visited some of the famed chocolate shops. 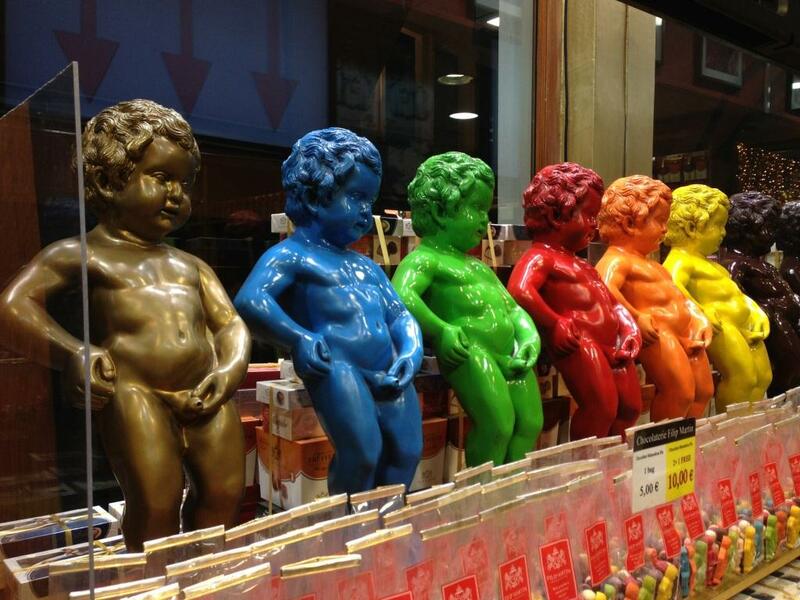 There are a lot of replicas around of Brussels’ famous statue, Manneken Pis (the weeing boy, yes really!). 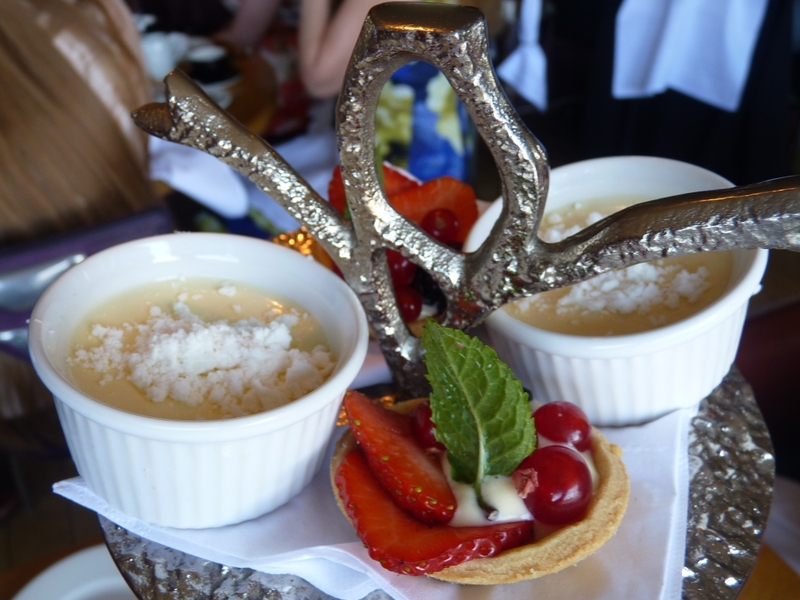 We saw the actual fountain itself, but these were my favourites – with chocolates to match! 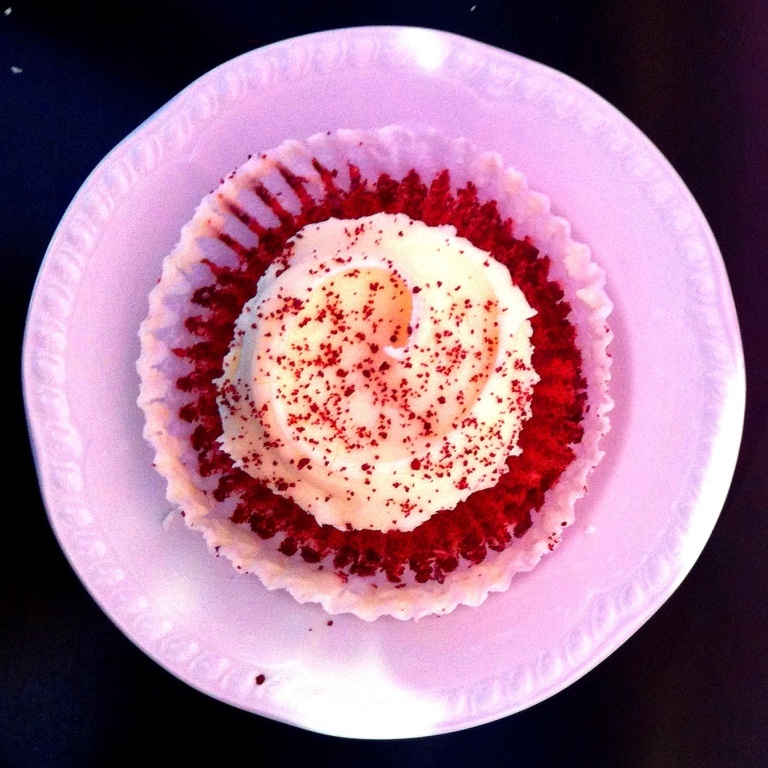 National Cupcake Week. London. Time to spare before my train. 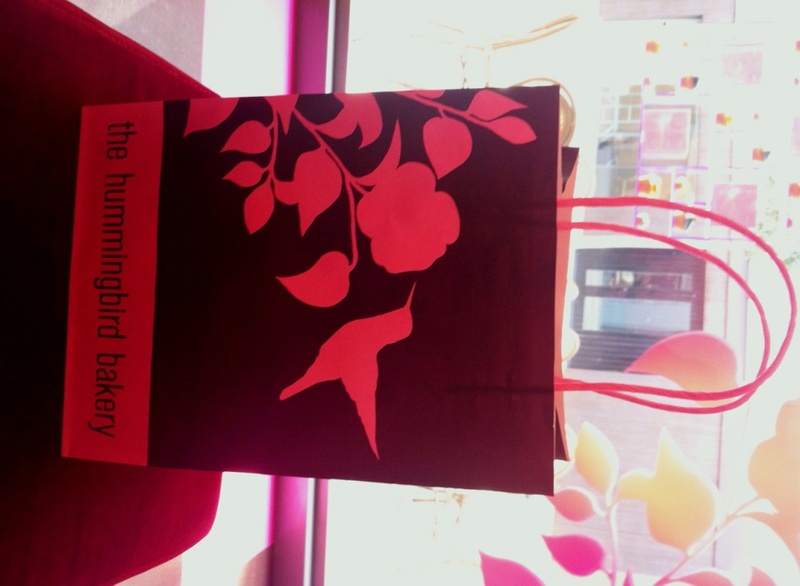 It could only mean one thing… a visit to the cupcake mecca that is Hummingbird Bakery! I went to the branch in Spitalfields as it was closest to the exhibition I’d spent the day at. 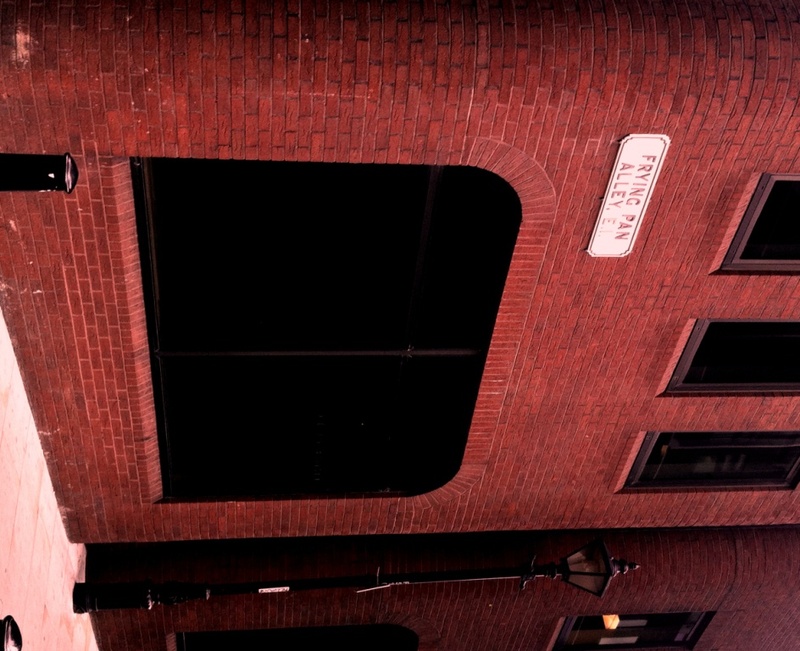 A short walk from Liverpool Street station, it’s also incredibly close to the City and Tower Hill – you could walk up in about 10 minutes. 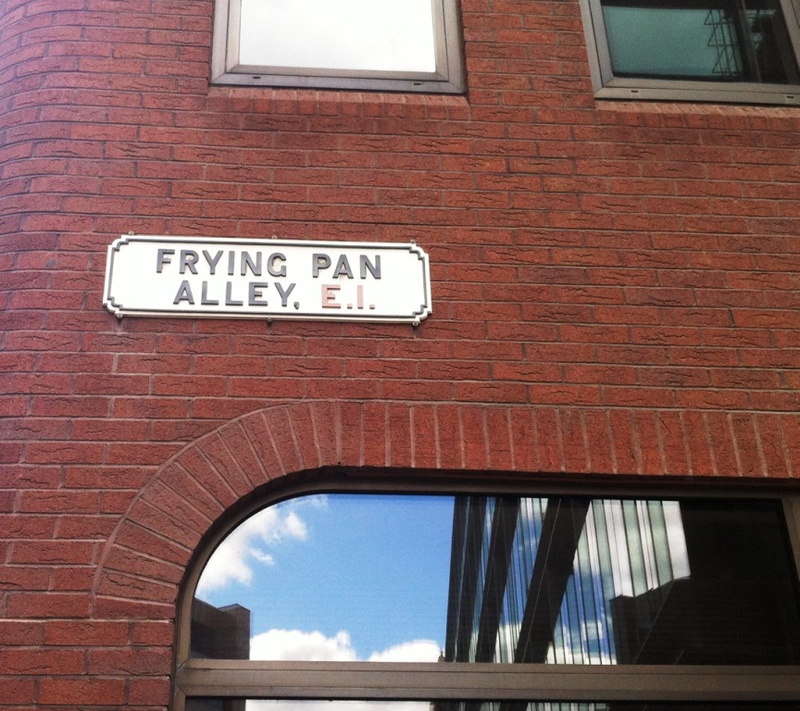 Looking like something out of Harry Potter, the Spitalfields bakery is located in the brilliantly named Frying Pan Alley – so called because of the ironmongers who used to hang pans outside their shops by way of advertisement . 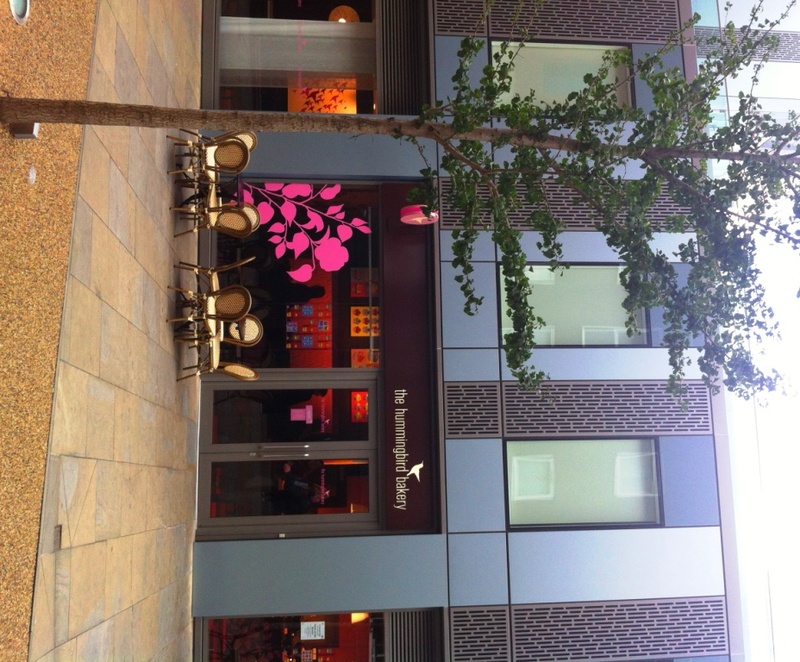 Hummingbird has a prominent position down the pedestrian arcade, with some great outdoor seating. 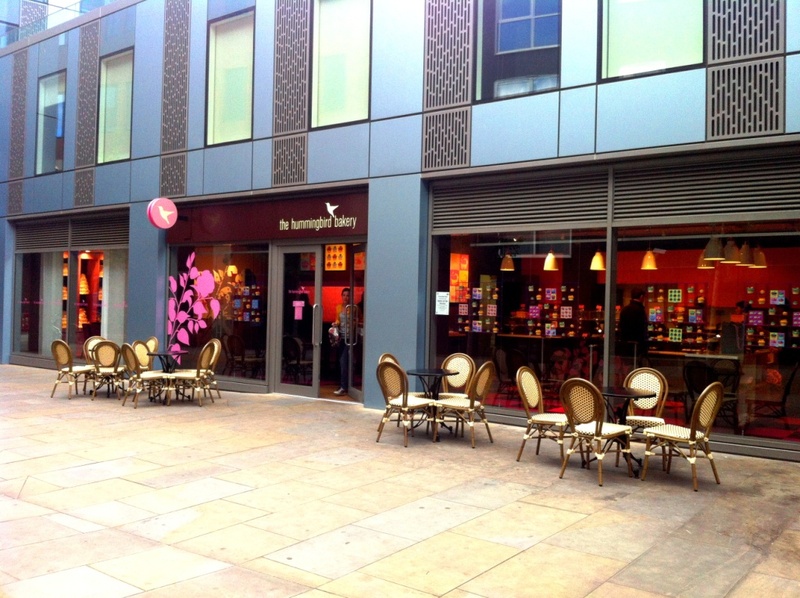 Needless to say, in the middle of a September Wednesday afternoon, it was rather quiet! 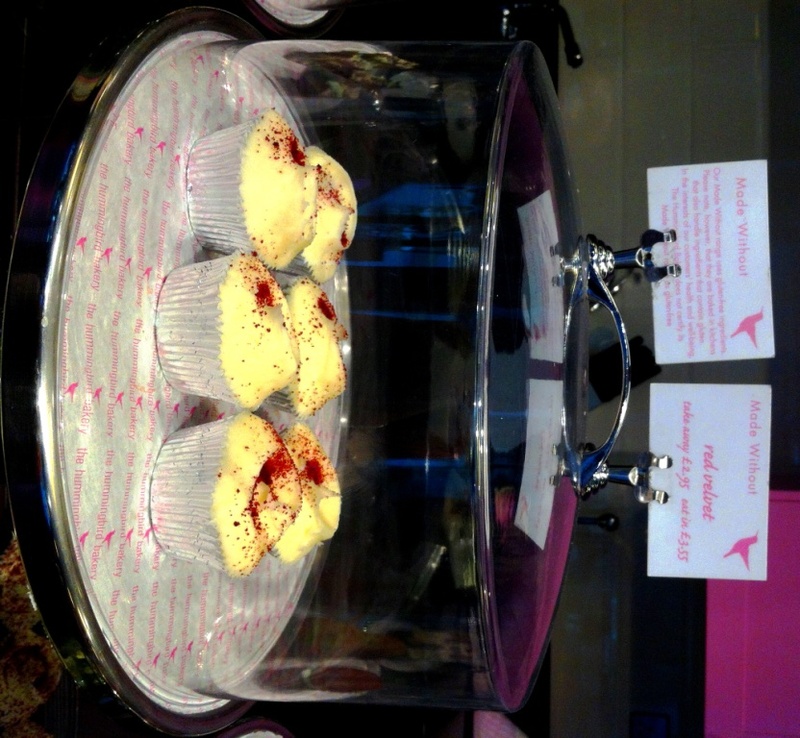 For some reason I was surprised at what I found in side – not as many varieties of cupcake as I’d expected, and, shock horror, other cakes too! 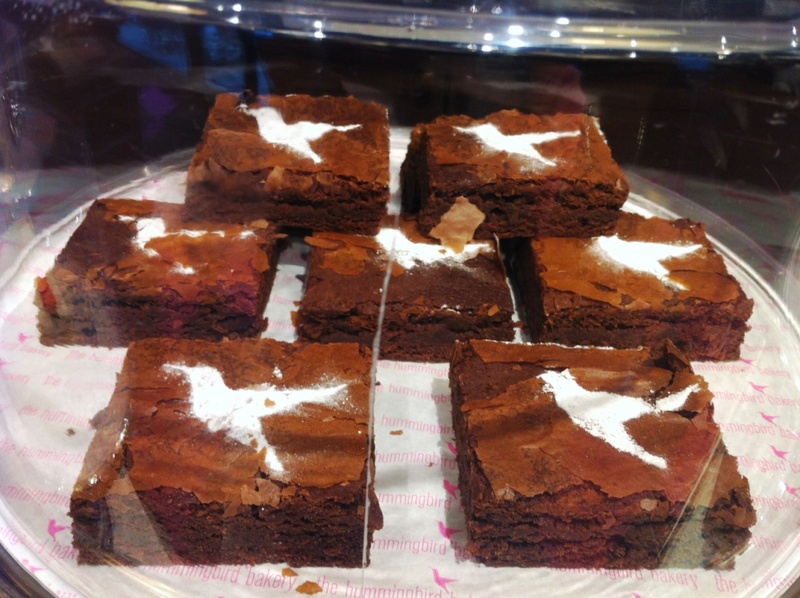 The sliced layer cakes certainly looked very tempting – I gladly accepted a sample of the pink-iced vanilla – and the icing sugar stenciled chocolate brownies were a simple but effective idea. 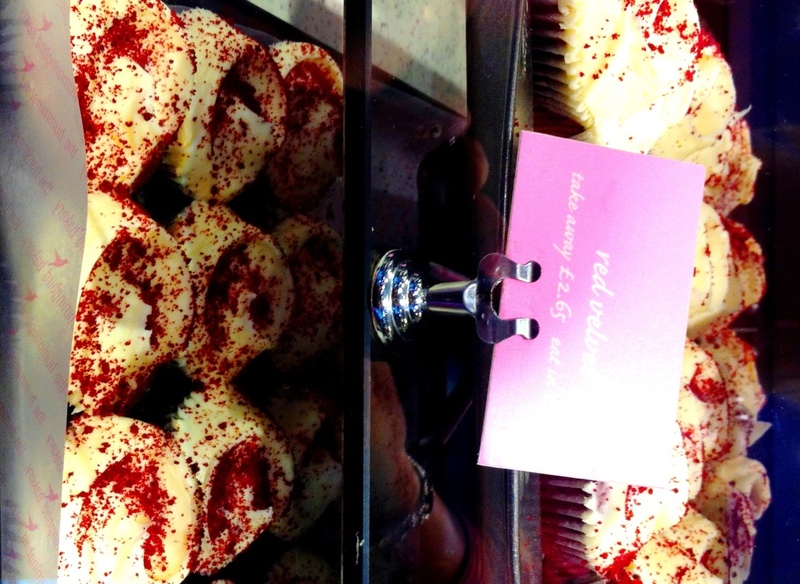 Nevertheless – I found what I was looking for in an array of sumptuous cases of cupcakes. 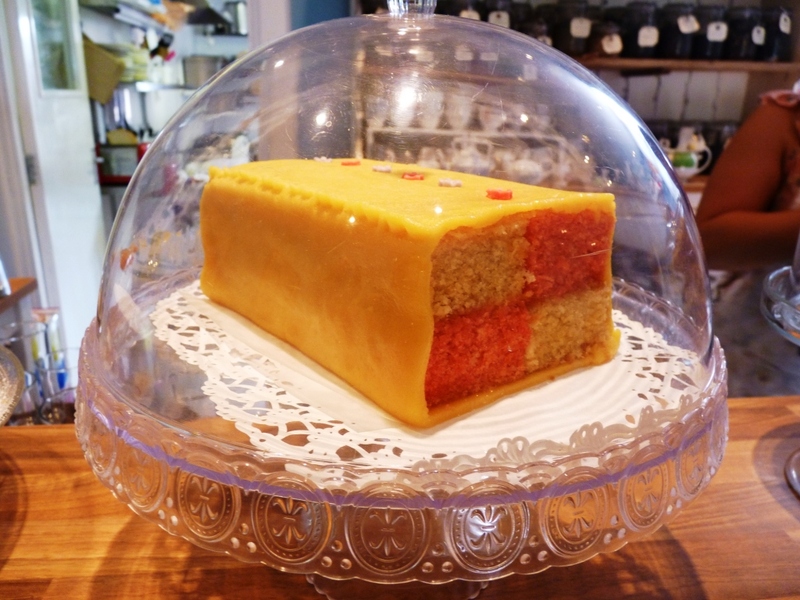 I was quickly drawn to Hummingbird’s signature cake – the Red Velvet – loved and re-created by many bakers up and down the country, HBB (an American company) are credited as being the first to bring this type of cake to the UK. 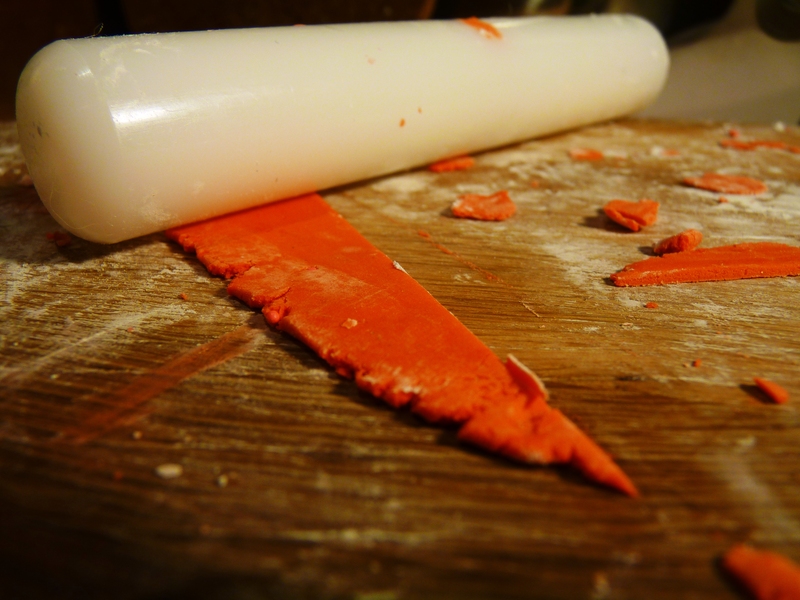 You can check out my previous attempts at making my own red velvet here. 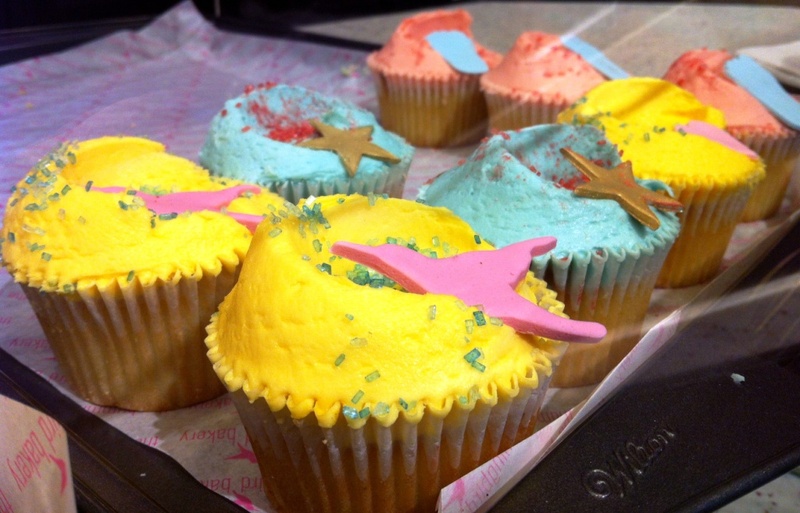 …and some bright coloured cakes with fondant decorations – the signature bird, stars, and even delicate footprints! 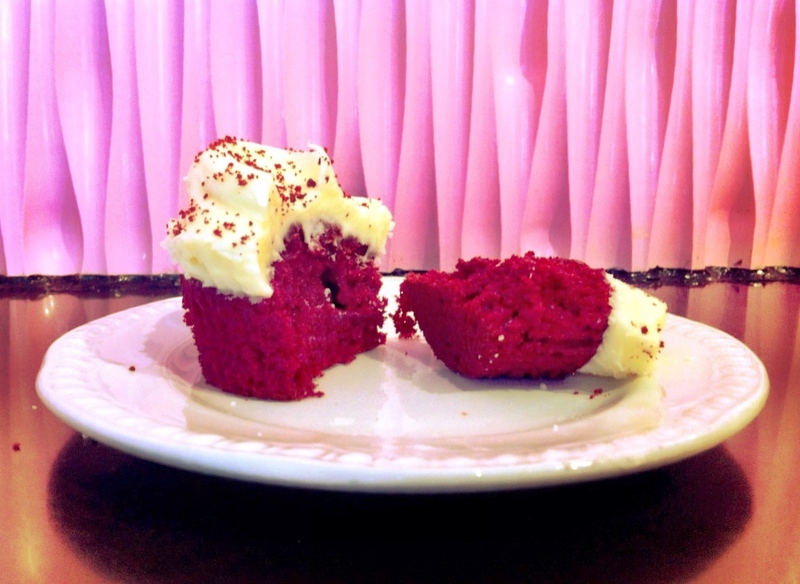 Inside it was just as delicious – the bright red colour was the sweet taste of vanilla with a hint of chocolate, and the cream cheese icing was whipped to perfection. 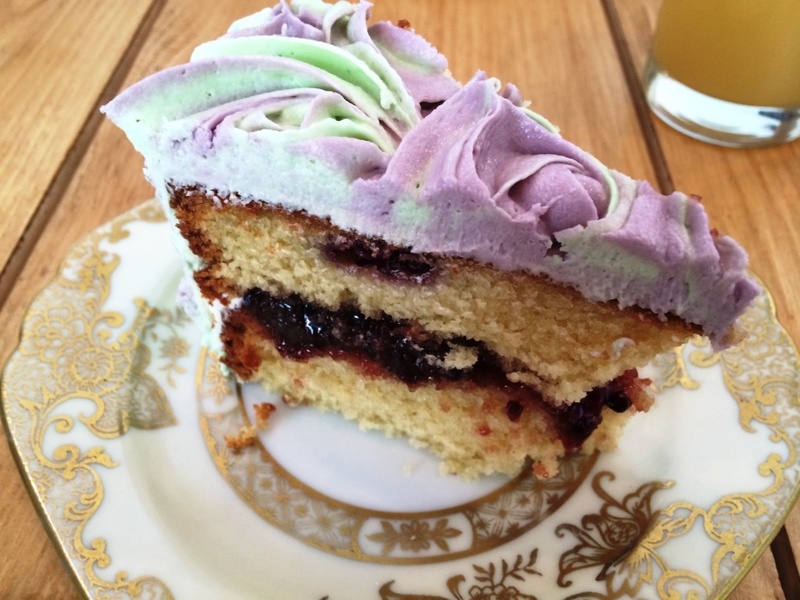 The whole cake was so deliciously light that I could have happily eaten several more! 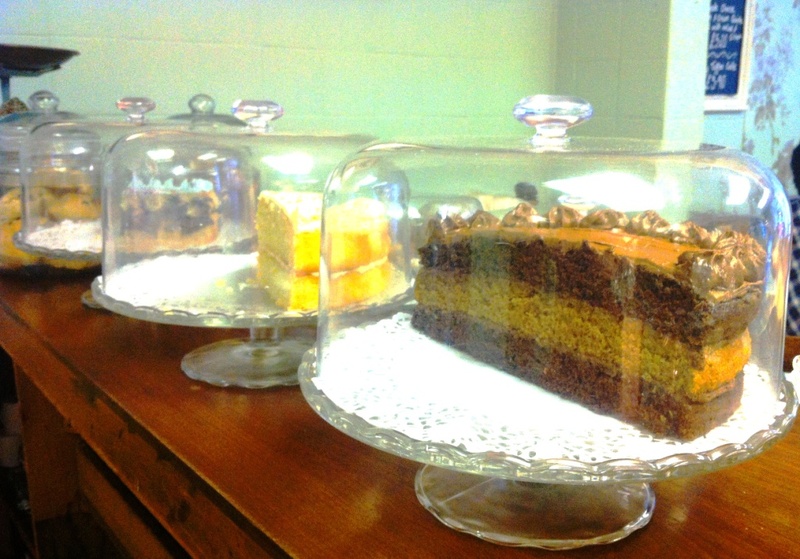 Before leaving I took a quick peek into their Cakes by Consultation room. 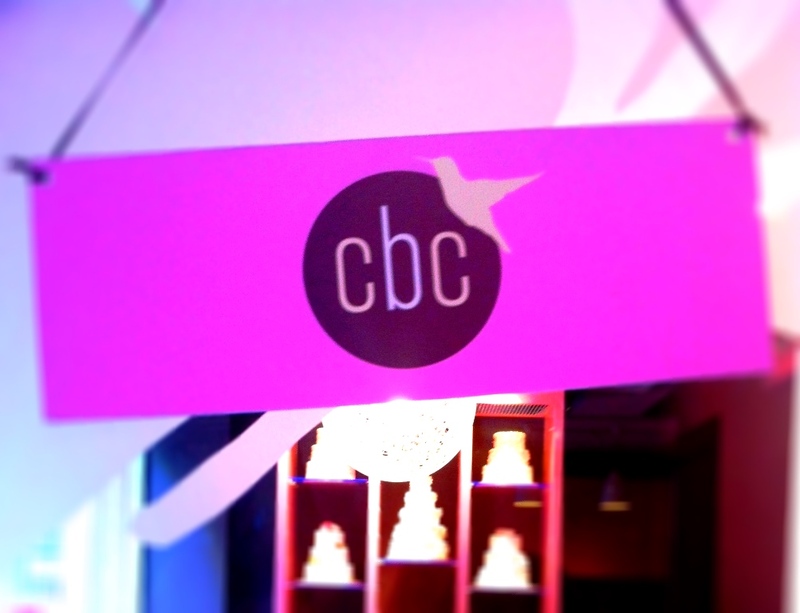 Hummingbird wedding cake you say….?! 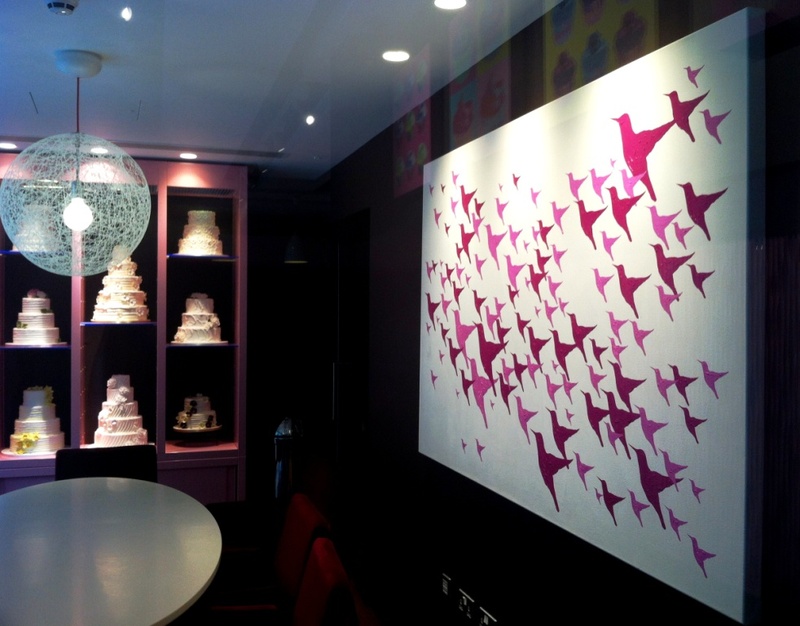 I’m still unsure what I loved best – the eye-catching bird print artwork, or the stunning cake models on display. 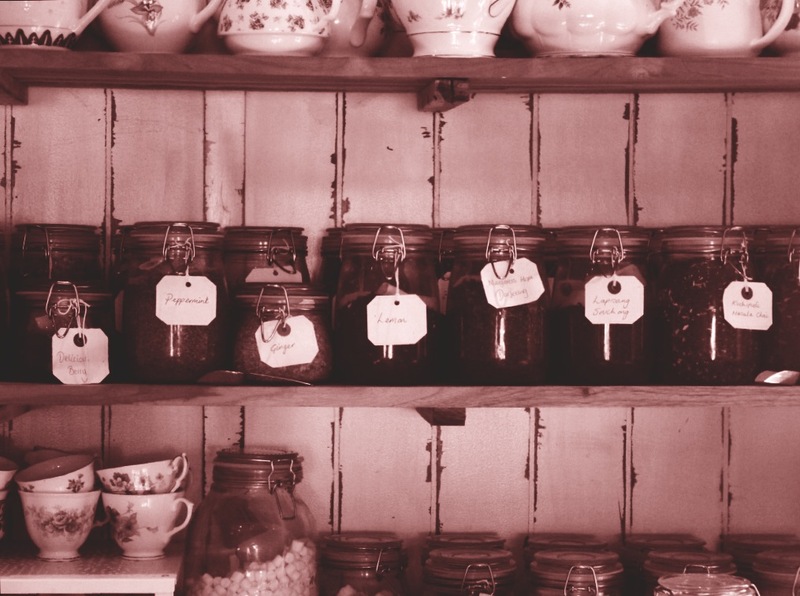 Perhaps the most tempting of everything in the shop…? 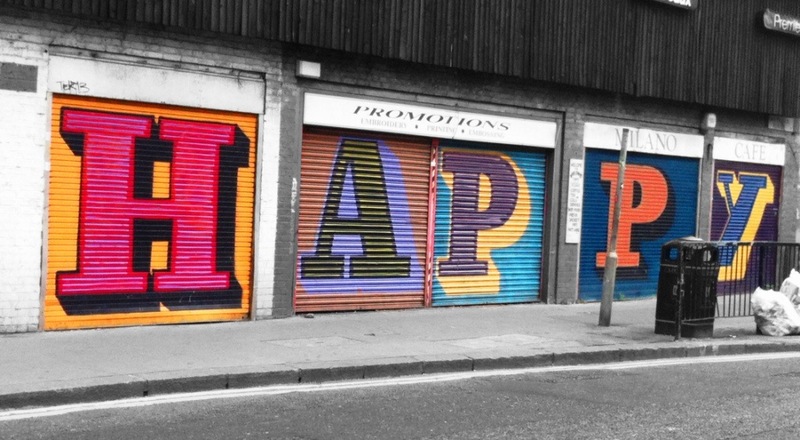 If only I lived in London! I also picked up a couple more cupcakes to bring home – you can have them boxed in batches of 1, 2, or 6, and I happily swung my little bag all the way out the door! 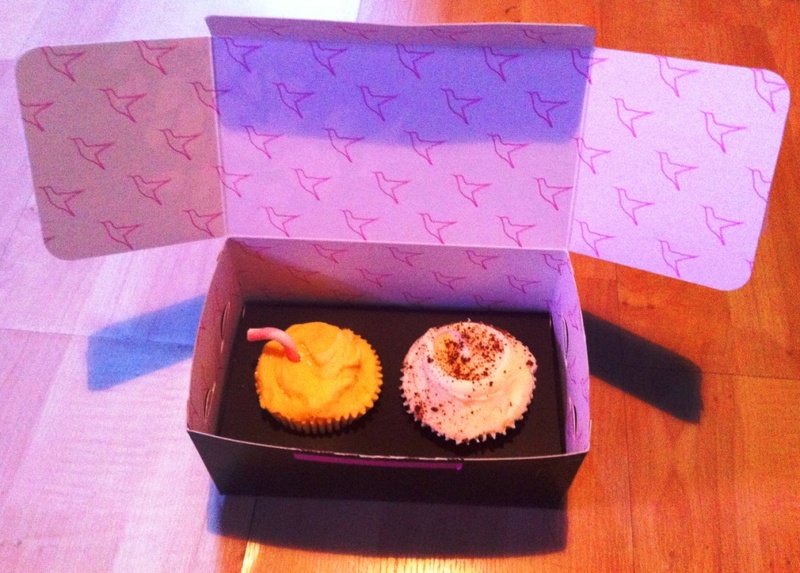 One tube, two trains, and a mile’s walk later, my cupcakes finally made it home. The box held them perfectly and they still looked exactly as they had in the shops (even after my mad dash through St Pancras to get the train!). 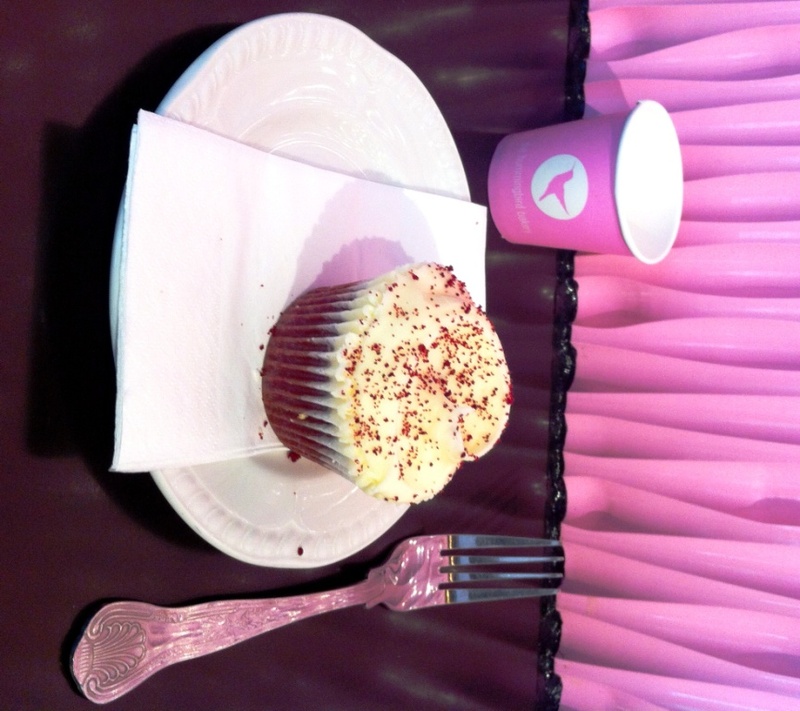 I chose a black-bottom cupcake and banana milkshake so as to try some of the other flavours the bakery offers. 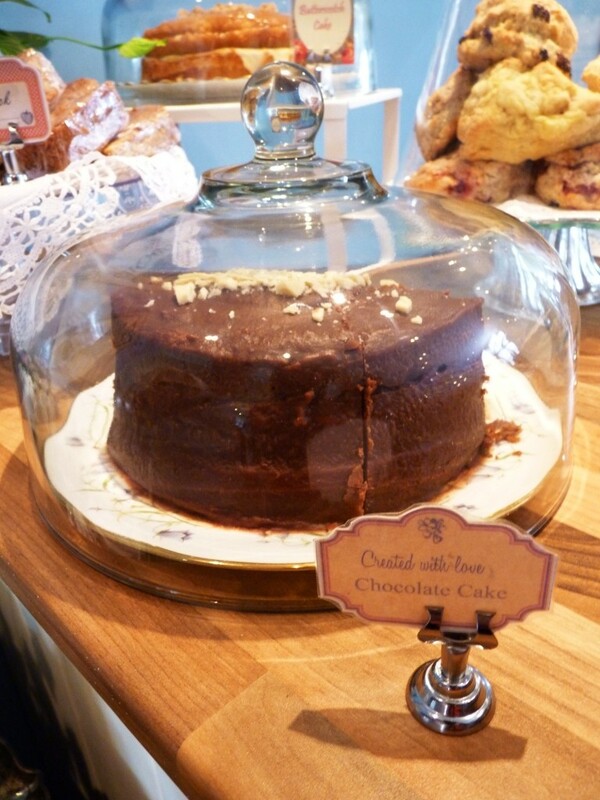 The black bottom was a rich, moist, rich chocolate cake, with a dollop of cheesecake mix containing big thick chocolate chips, finished with a smooth cream cheese frosting. 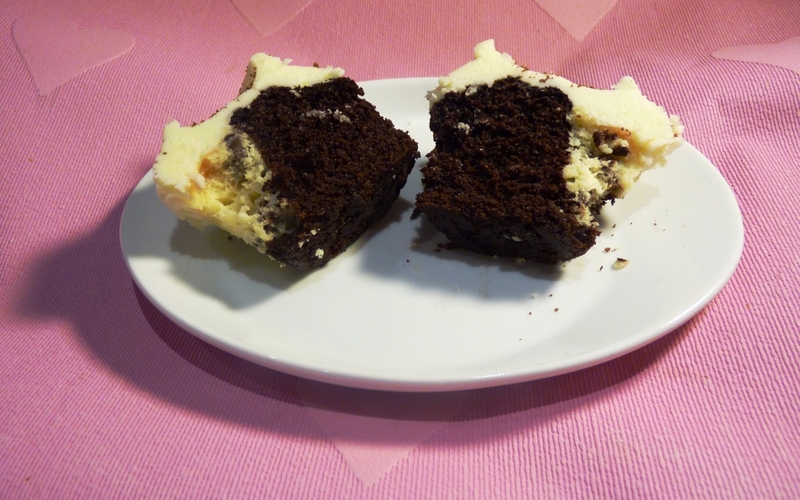 Looking at the black bottom cupcake on their website, the cheesecake is apparently supposed to be centred – nice to know even the pros can get their cupcake layers wrong. Don’t get me wrong though, it was still very tasty! 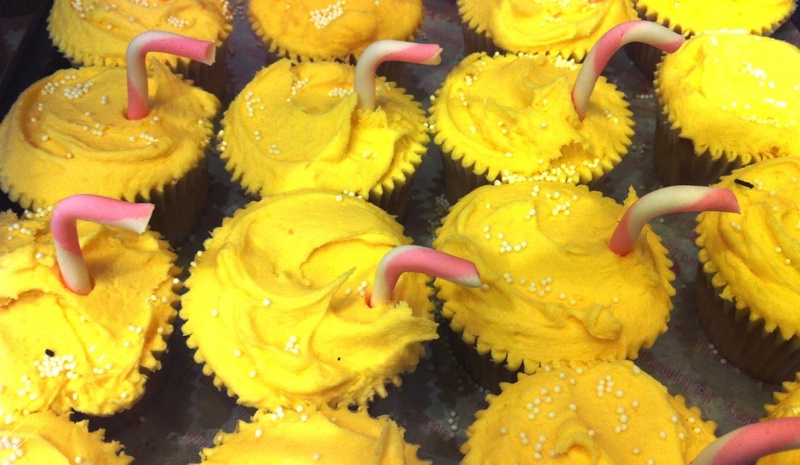 Onto the banana special – The straw was made of a yummy soft candy stick, and following the cupcake down it only got tastier! 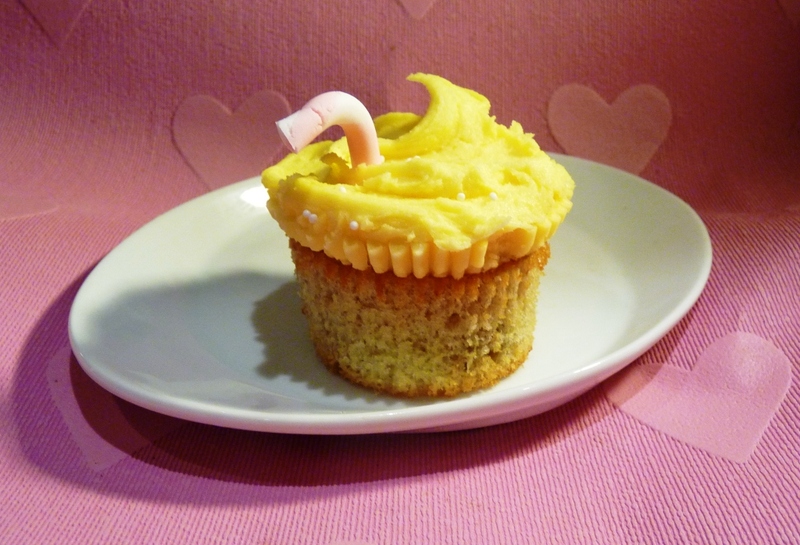 A brilliant combination of a creamy, thick frosting that tasted exactly like banana milkshake, perfectly complemented by a moist banana sponge. The banana milkshake is a limited edition flavour, only available on Wednesday’s until the end of September – so you have one more week to go! 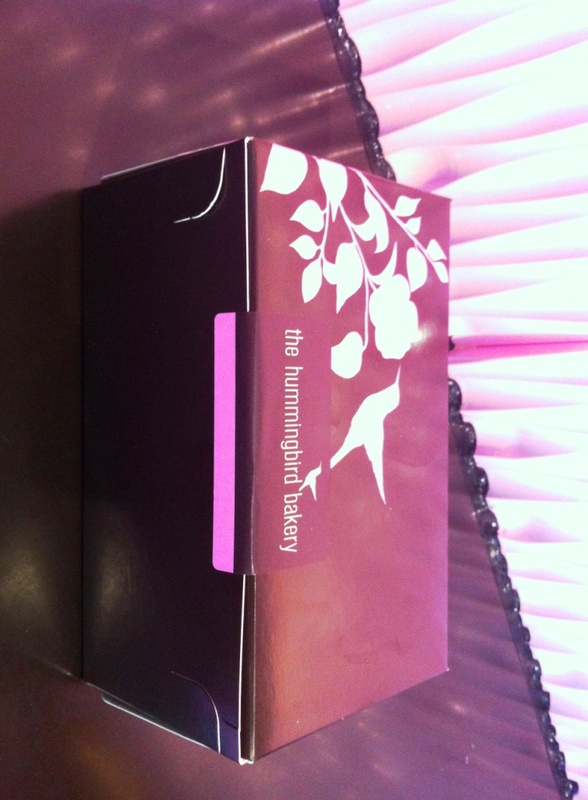 Needless to say I thoroughly enjoyed my trip to the Hummingbird Bakery. Maybe my next mission will be to try out all their other branches! 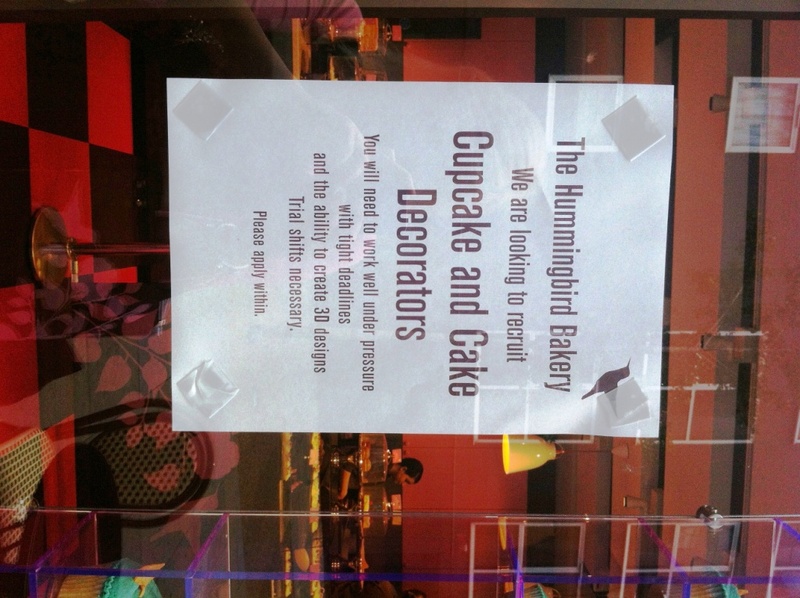 The only downside I’d say is the price – these are truly special occasion cupcakes; I paid £8.60 for one eat-in and two takeaway (you have to pay VAT if you eat in) – which at nearly £3 a cupcake is a little much even though they are so scrummy. And in a great twist – I discovered as I ambled up to the train (with blatant disregard for nearly missing the train) – I dressed today in Hummingbird colours, a brown dress and pink cardigan! Coincidence…? 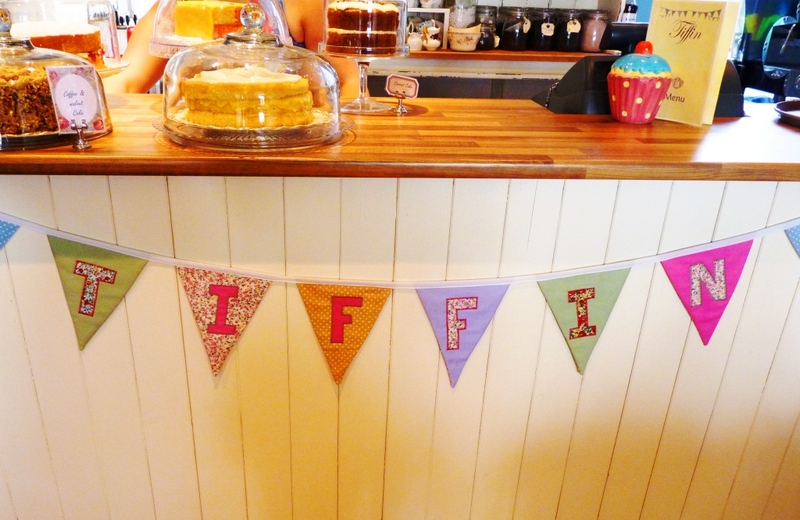 On a fresh, late summers morning, in a leafy suburb of Nottingham, chaos descended as I met some friends for brunch aka cake-for-breakfast, at the delightful Tiffin Teahouse. 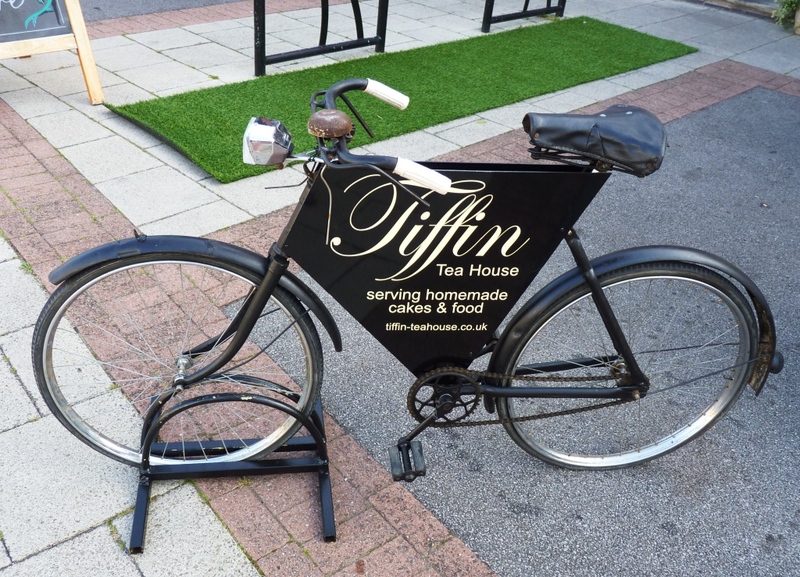 Tiffin is located on Abbey Road, amidst only a handful of shops, but a mere minutes walk from the hustle and bustle of Central Avenue. There’s ample on-street parking nearby, so it’s a great place to meet for groups like us, coming from all corners of the city. 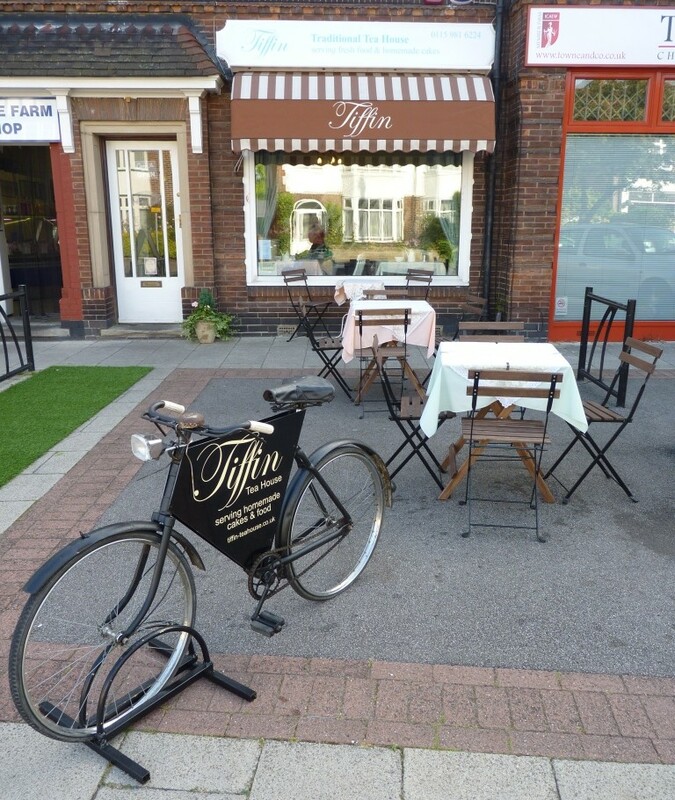 It’s often easy to drive past (the tables and chairs aren’t often outside, it is British summer after all!) but on this particular morning, no expense was spared, with a charismatically-chic bicycle signage board, and even a (fake!) green-grass carpet. 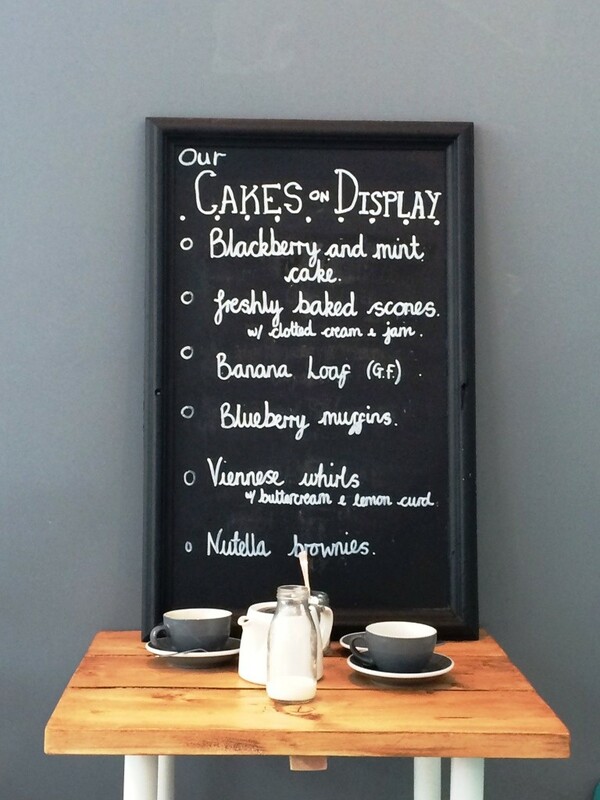 We ummed and aahed over the slightly-better-for-you breakfast menu, but on approaching the counter all thoughts of anything savoury had completely gone out the window; the simply divine-looking homemade cakes, on their shiny glass stands, were just too much to resist. 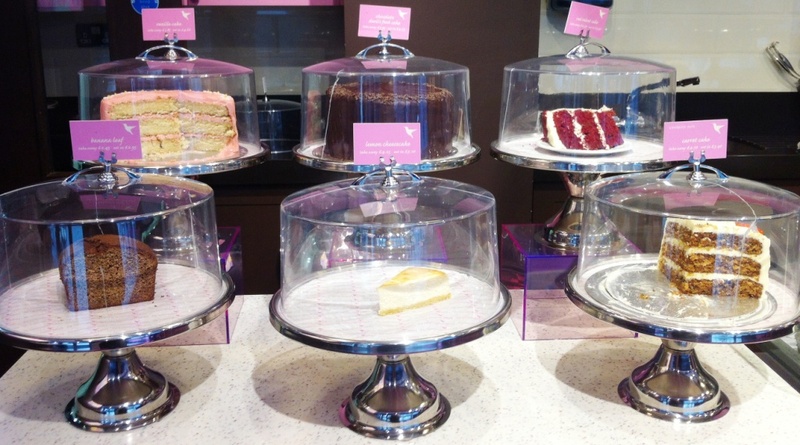 Is it ever possible to be too early for cake? Pre-10am didn’t seem to affect us much! 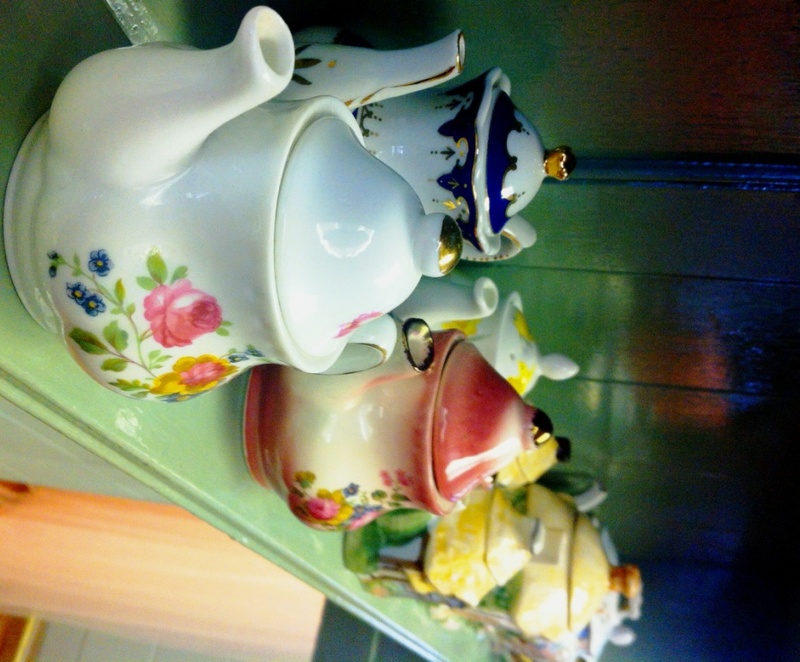 Like any good tea room, Tiffin have a great range of vintage china crockery to serve all food and drink. 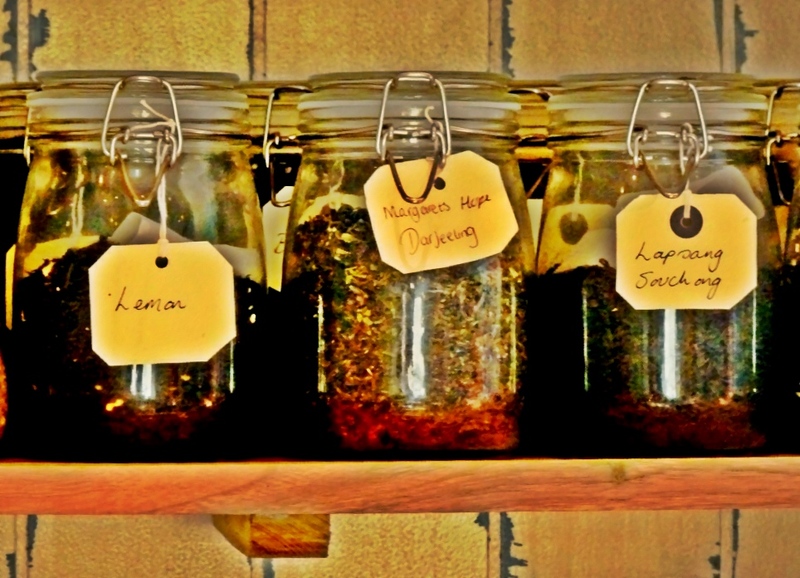 An added bonus at this teahouse is a fantastic range of fresh blended teas, hand labelled and perfect from a crisp china cup. 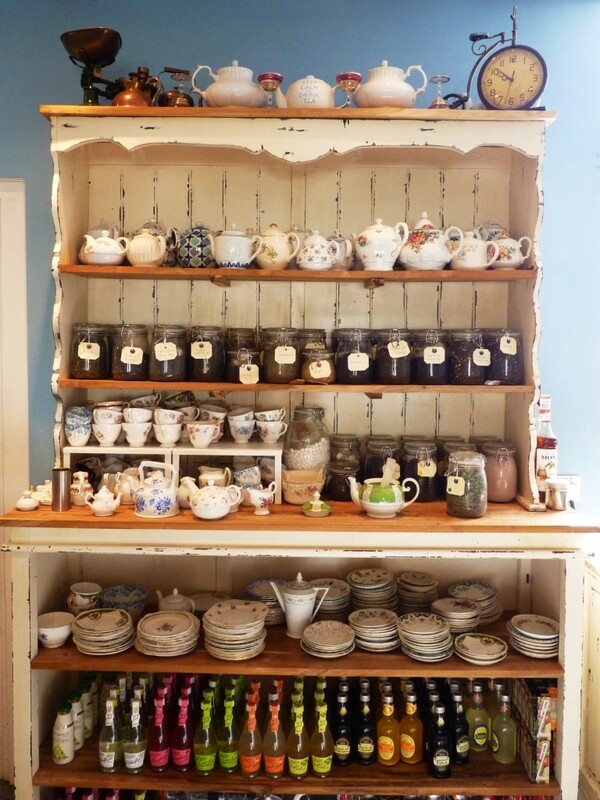 Although it’s only a relatively little shop, Tiffin have managed to pack a lot of little quirks into their tearoom. 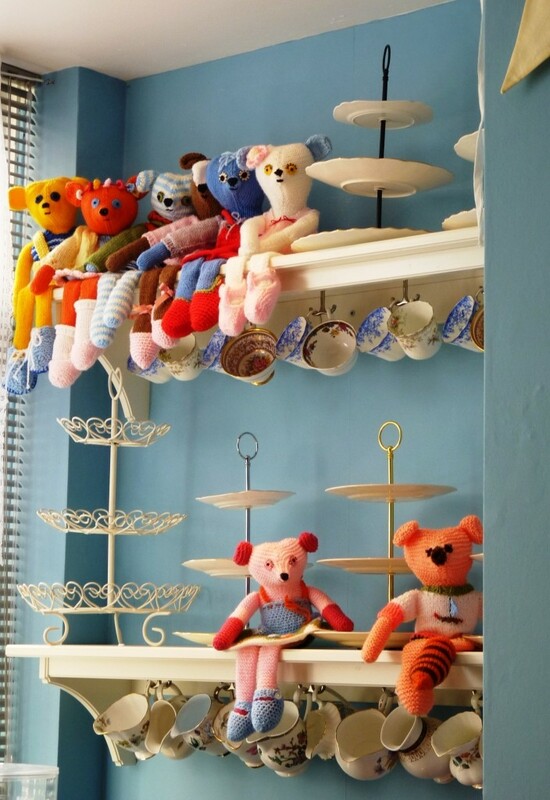 It’s kitsch and cute without being over the top, and I love noticing different things every time you look around. Yesterday, following last months meet-up mix-up I finally managed to get together with the lovely girls from kerrycooks and makedoandspend. We all live relatively locally, love and blog about similar things. 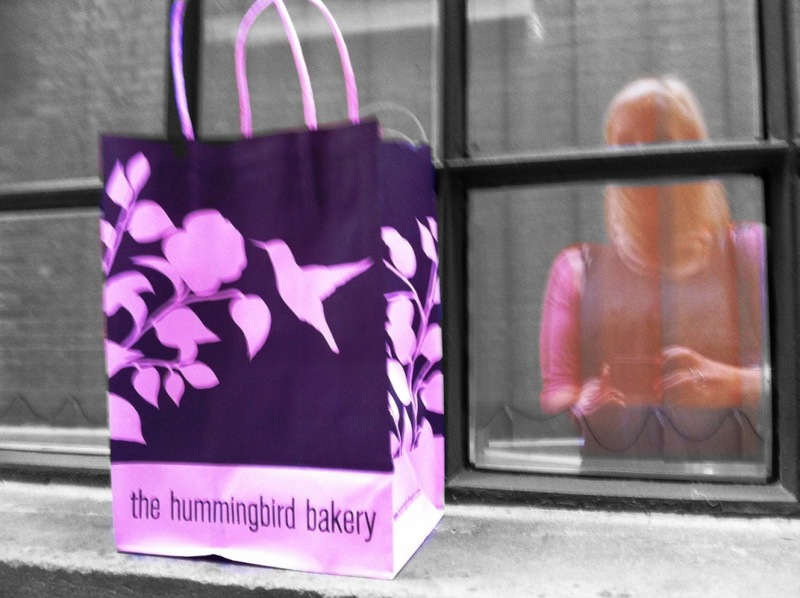 It seemed only fitting we embraced two of these great loves – cake, and shopping! 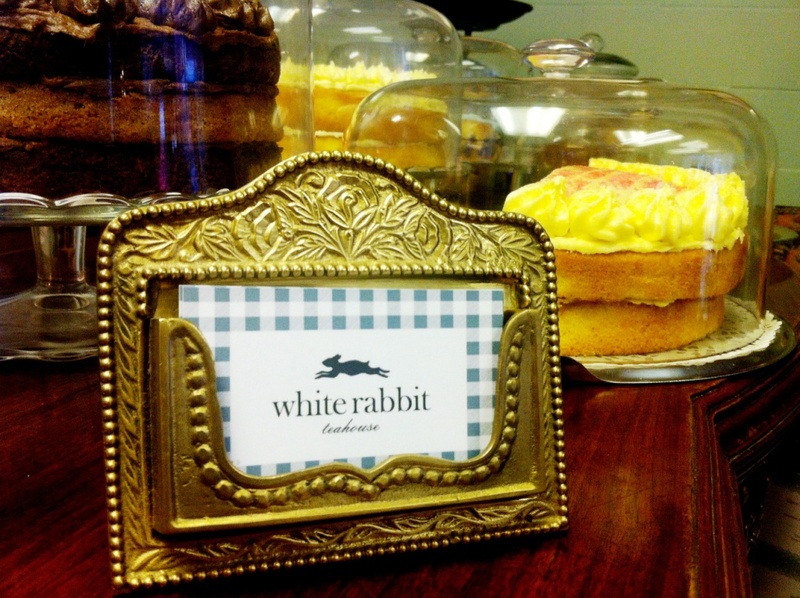 After meeting at the lovely new Cath Kidston shop in Nottingham (if you haven’t been in yet it’s a real treat, certainly their biggest store I’ve ever been in, 2 whole floors of loveliness) , we chanced our luck on getting a table at White Rabbit. 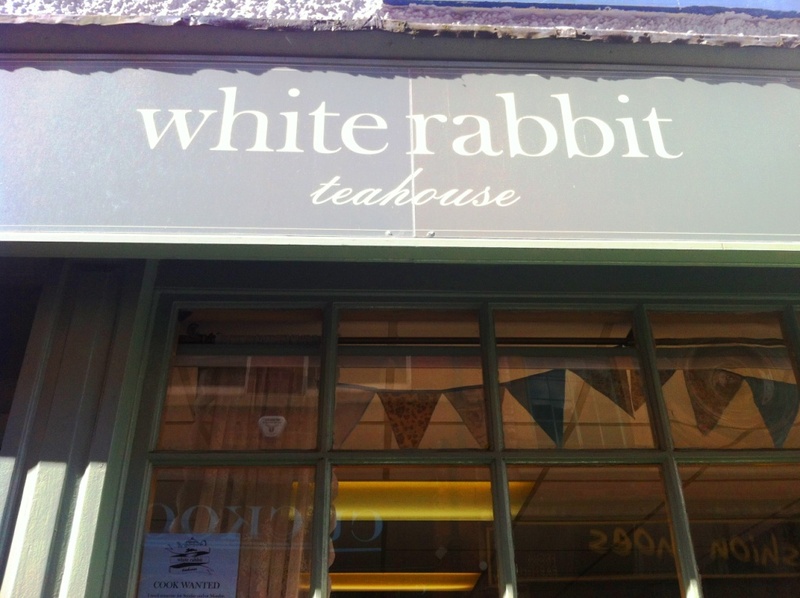 If you have not been White Rabbit Teahouse before, I heartily recommend giving it a try! 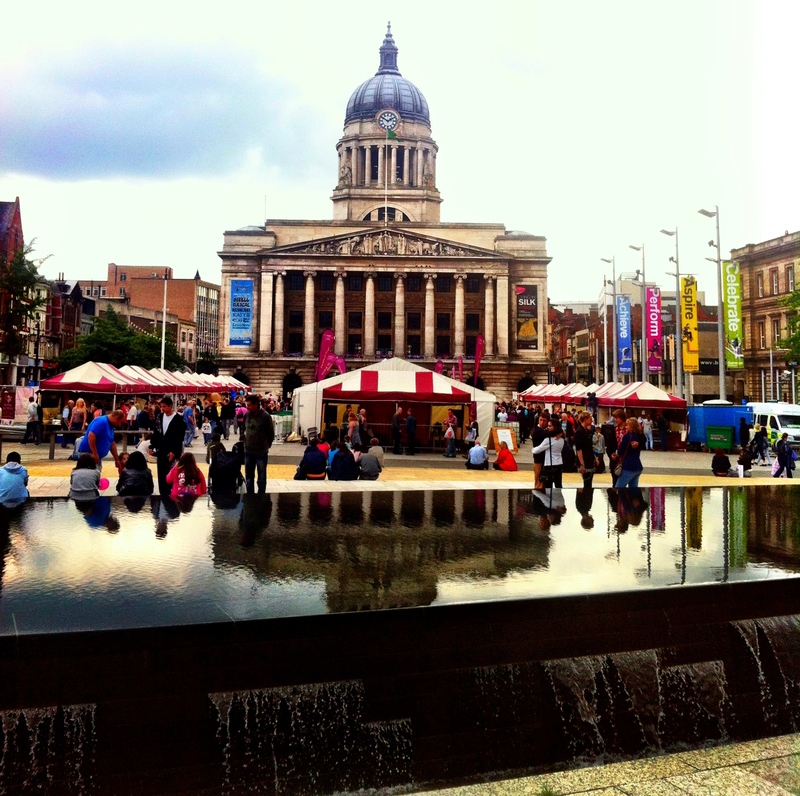 It is one Nottingham’s tiniest tea rooms, but well worth trying for a table. 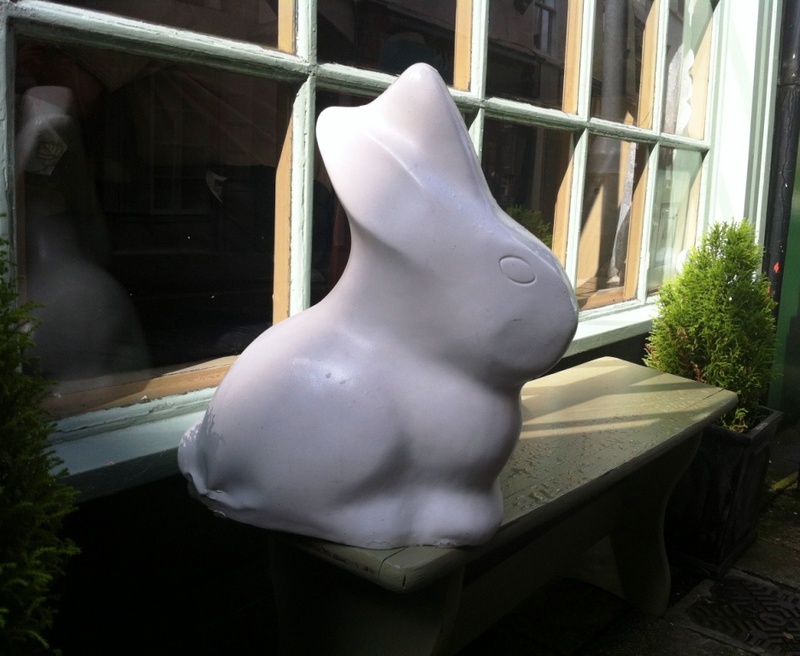 They won’t let you queue as such (although taking a seat on the bench outside is perfectly acceptable if the resident rabbit will mooch up a little), nor can you book. I’d recommend either going earlier in the morning, or, if they are busy, ask how long it will be for a table, then have a mosy around some of the lovely shops nearby before popping back. Fortunately we didn’t have to wait long for a table, and, as us bloggers do, immediately starting snapping away at all the cute decoration! 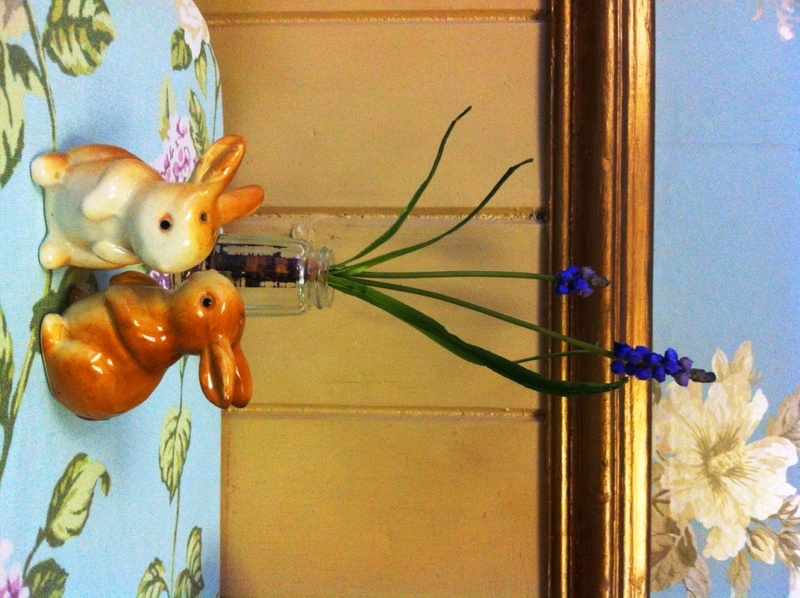 How cute are these rabbit salt and pepper shakers – complemented by a fresh floral sprig? 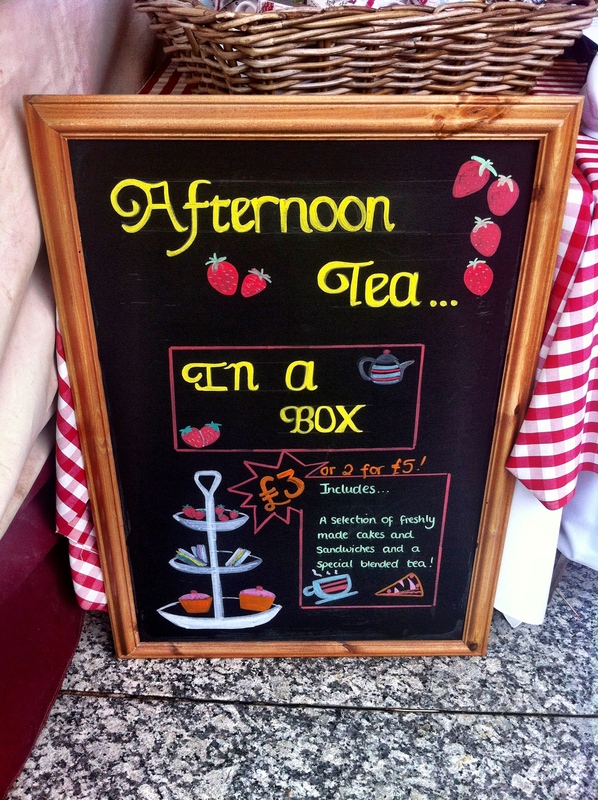 …and to eat – oh the choice! Cakes all freshly homemade and absurdly different to pick just one. So – between the 4 of us – we picked 4! All different, and all of us had a good taste of each one. 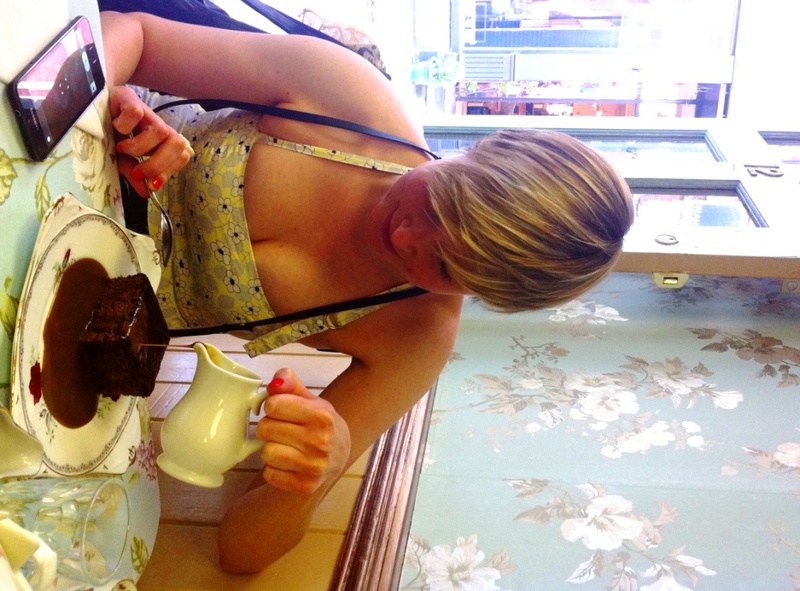 I can heartily recommend their choca-mocha, blueberry, chocolate orange, and the day’s special, sticky toffee cake served with a jug the most delectable toffee sauce (as modelled by the lovely E from Make, Do and Spend). 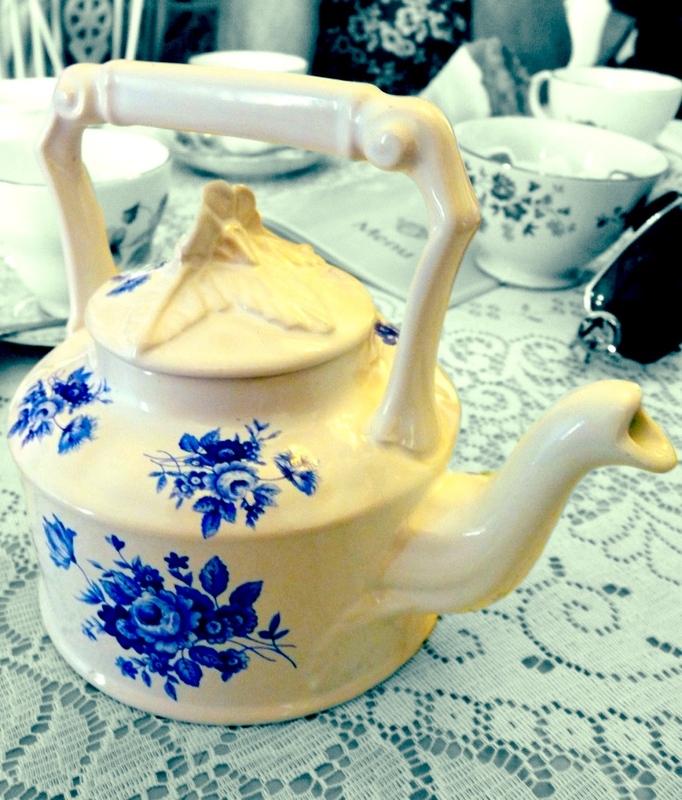 We had a delightful afternoon, the staff were happy to let us sit, chat, photograph, ask questions, and ask for continual refills of tea from the beautiful china selection. 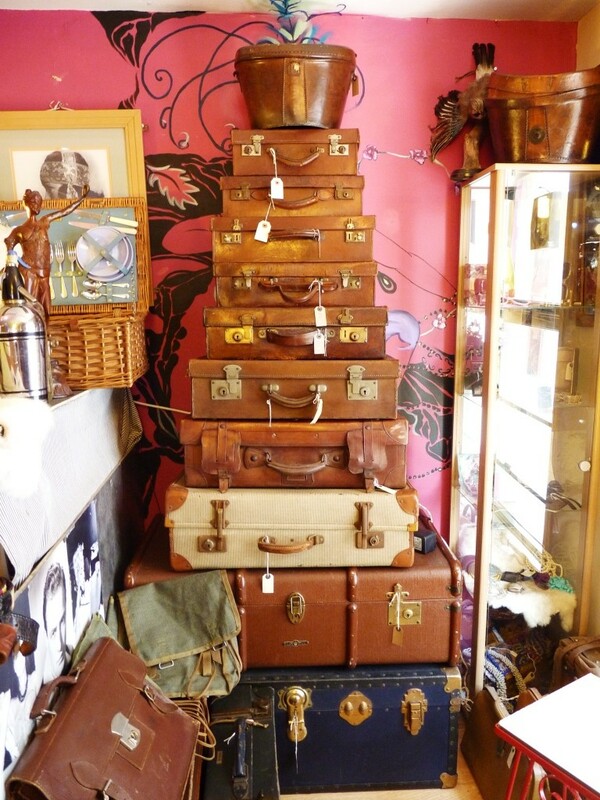 To finish off the afternoon, we wandered down to Station Street, and spent far too long browsing endlessly around the newly opened Hopkinson’s Vintage & Antique store. 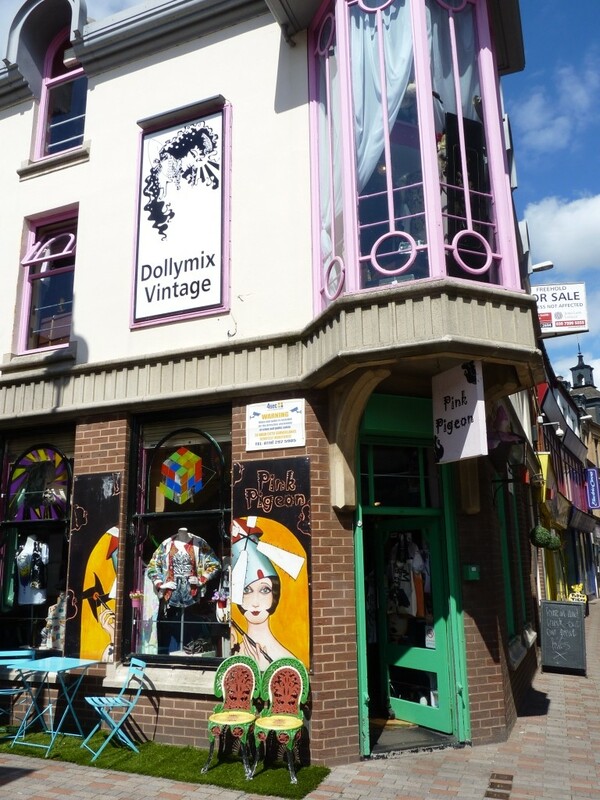 A great find and veritable treasure troves of all things old, from records, to jewellery, furniture to kitchenware (I rather fell in love with a wooden Edwardian cake stand…) and well worth a visit, but with 3 floors to look round, leave yourself plenty of time! Too cute a photo not to share but not sure where to fit in above. 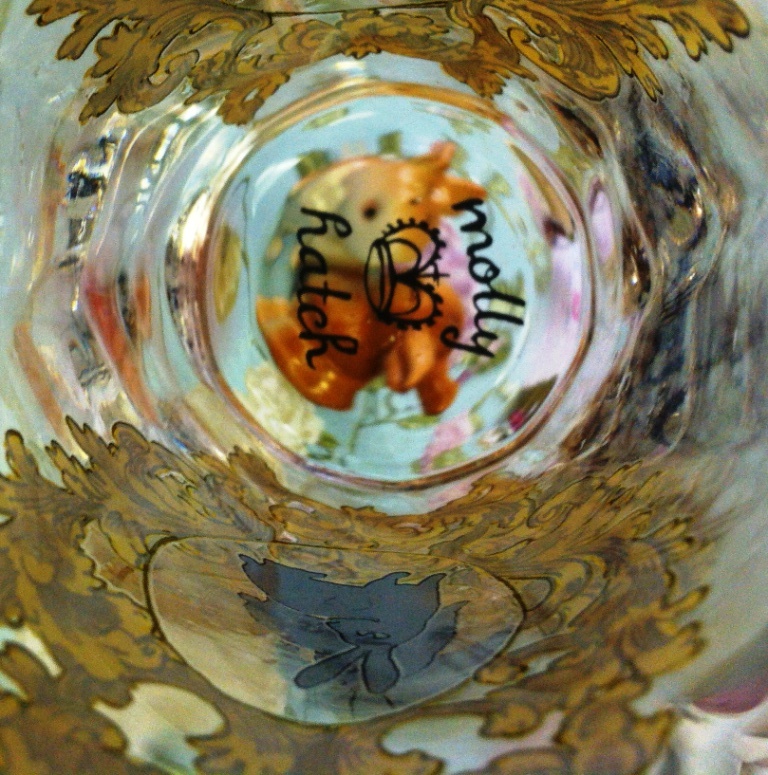 Spot the rabbits… the inside of a pretty, pretty glass! Anyone that has ever had the pleasure of living under the same roof as me will know that I’m not the tidiest. Nowhere more so than in the kitchen. 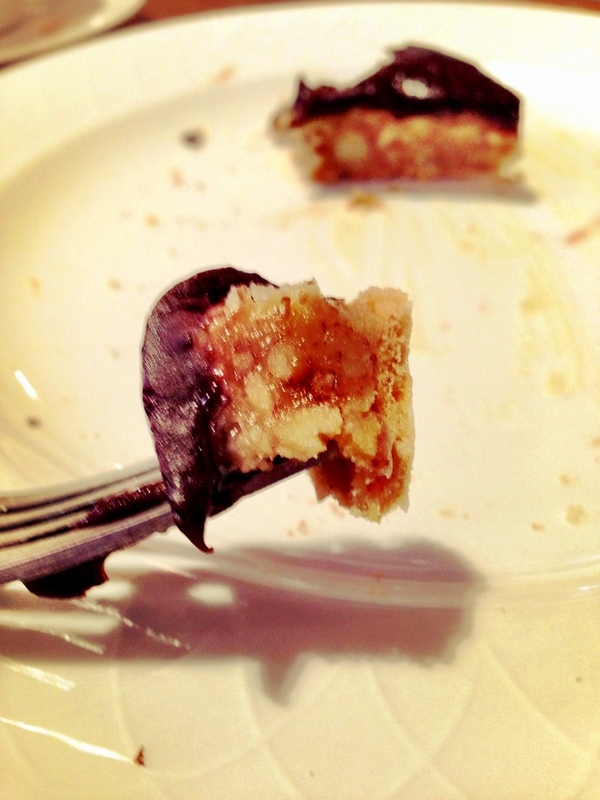 I have had a great couple of evenings in the kitchen this week making… well, you’ll have to wait and see! 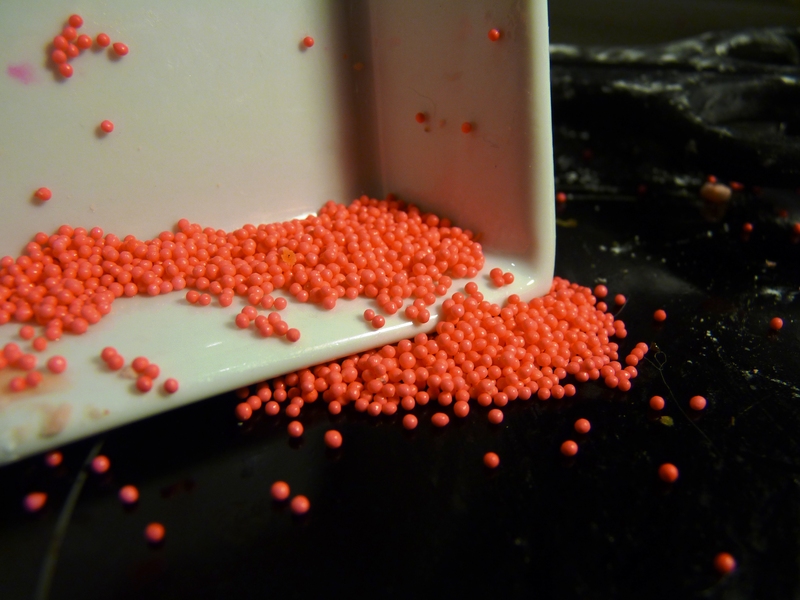 I will post the results next week, in the meantime can you guess what I’ve been making? I love how Friday is becoming treat day in our office! 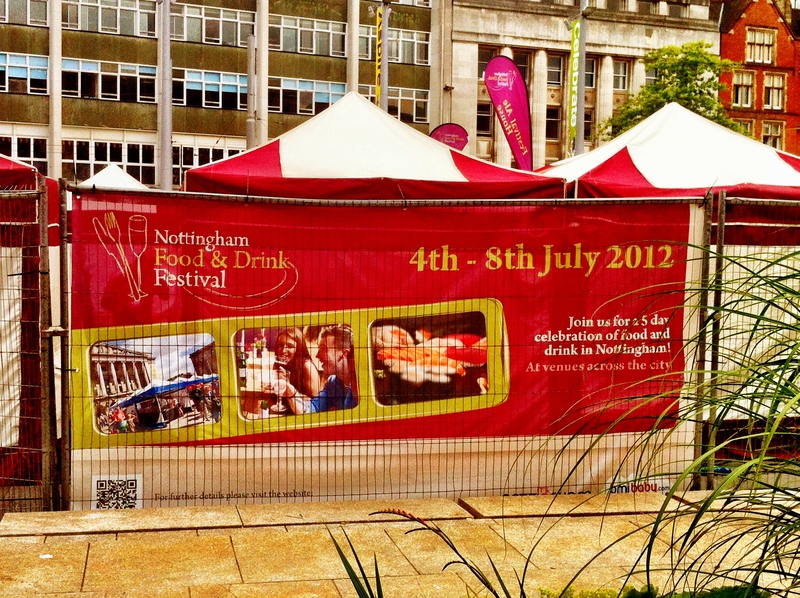 This week courtesy of Nottingham Food and Drink Festival, held last weekend in the city’s Old Market Square. The Festival was a great mix of local businesses, selling, cooking or generally promoting their edible wares. My kind of an event! 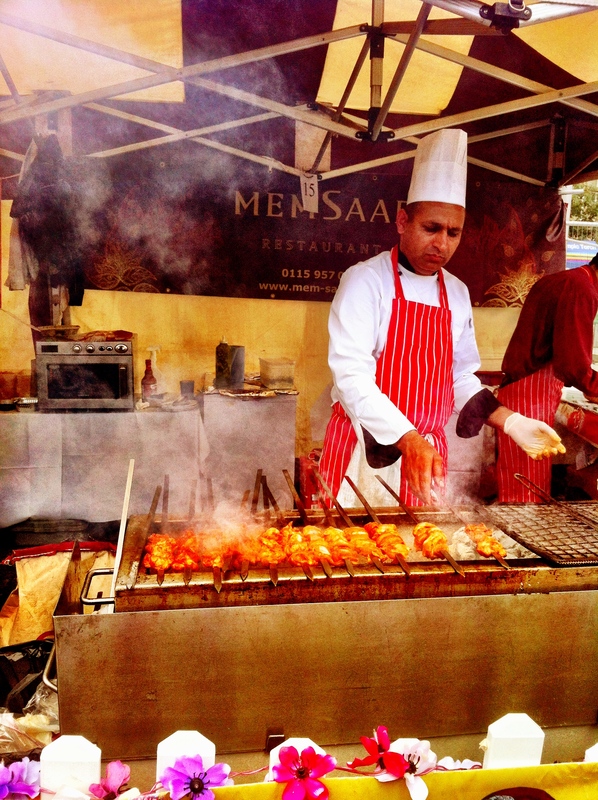 Brilliant sounds and smells coming from the stall hosted by Memsaab restaurant – yummy fresh kebabs that looked and smelt absolutely delicious. Look what I found! 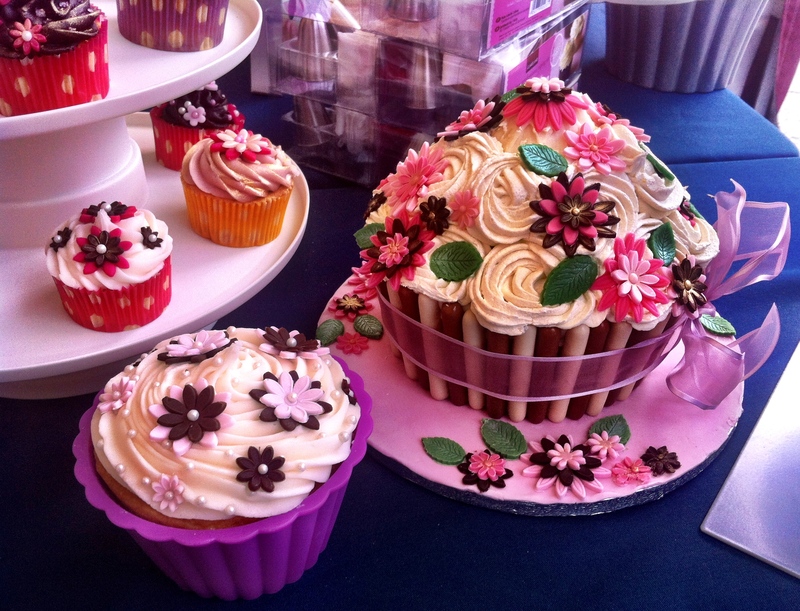 Tucked away on the Lakeland were these beautifully decorated floral cakes. A chat with the staff later and I found out their own store manager had made them using their piping set. Tempted as I was to take their 15% off voucher and hot foot it over to the Nottingham store, I retained some self-control and will instead add them to my baking wishlist. 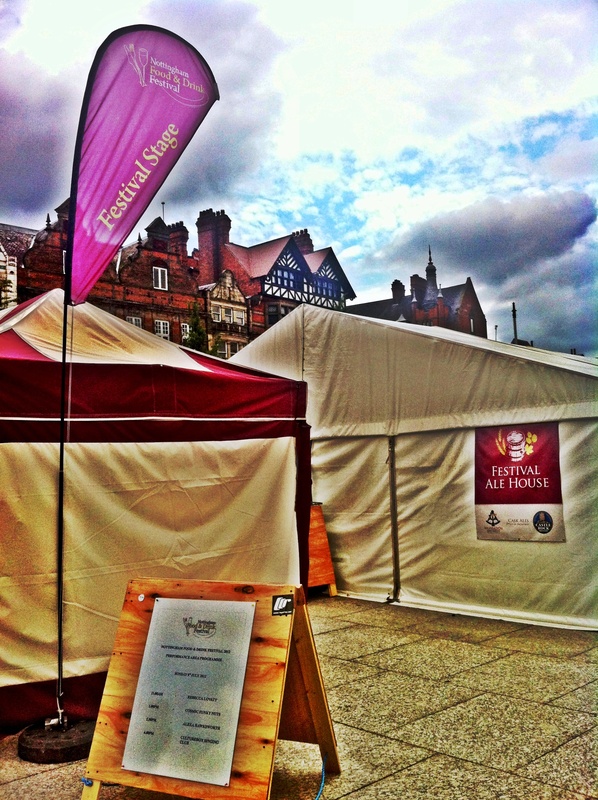 And finally – no festival is complete without music, and a great Ale House to go with it! 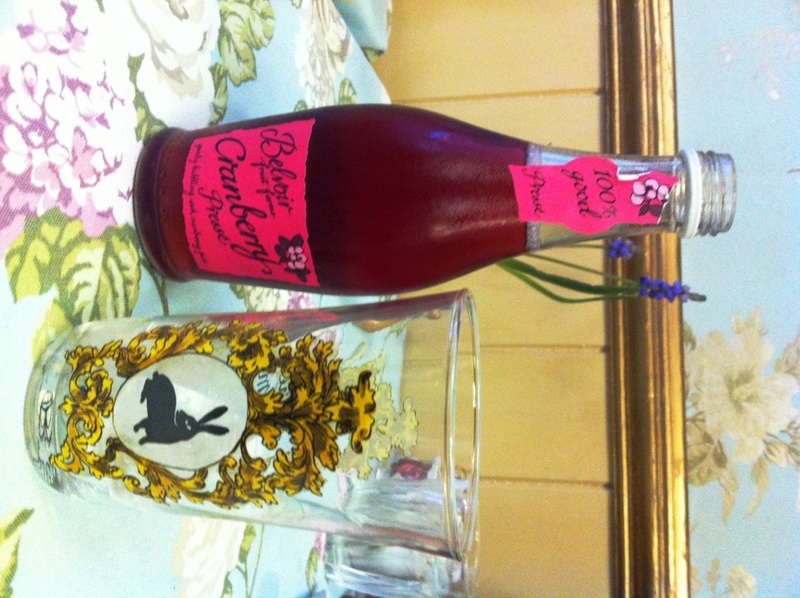 As far as I’m concerned a good afternoon was had by all – taste, sight, smell, sound and yes even touch! Will definitely be making a date in my diary for next year. Like what you see? Want more? "If I knew you were coming I'd have baked a cake.."
she will want to bake a cake.